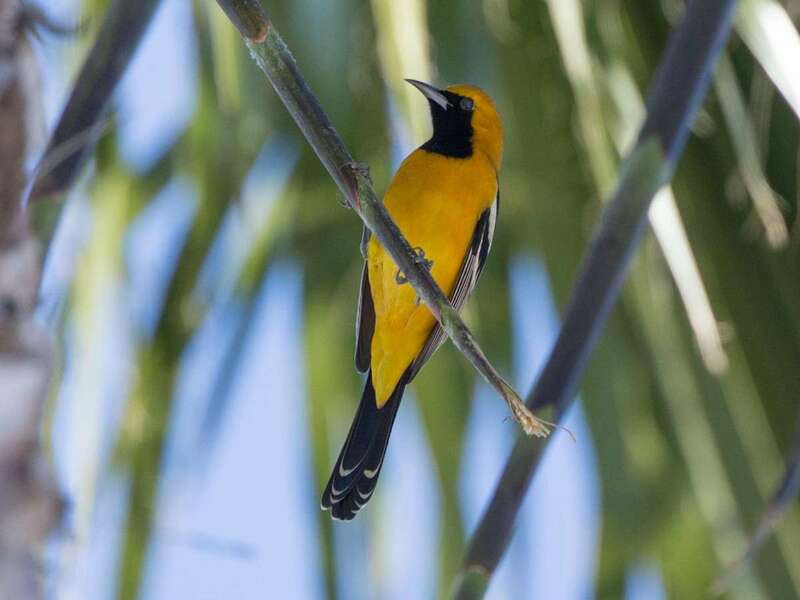 [All photographs copyright, Gary Nunn 2015] – I was shocked this morning when an adult male Hooded Oriole Icterus cucullatus flew overhead between tall Mexican Fan Palms near the west terminus of North Mission Bay Drive in Pacific Beach. Really? A Hooded Oriole in late November?! I don’t think I have seen one here since early October and they are downright rare wintering in Southern California. 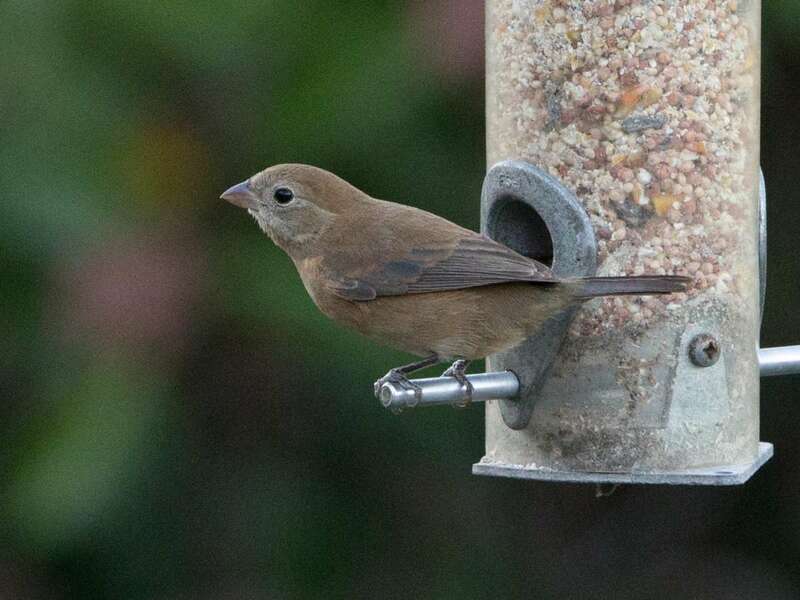 Checking eBird reports the last sighting seems to be around October 13th in San Diego County this year. The oriole weirdness continued when a few minutes later I noticed movement in some tall weeds beside the road and an immature male Orchard Oriole Icterus spurius popped out right in front of me! 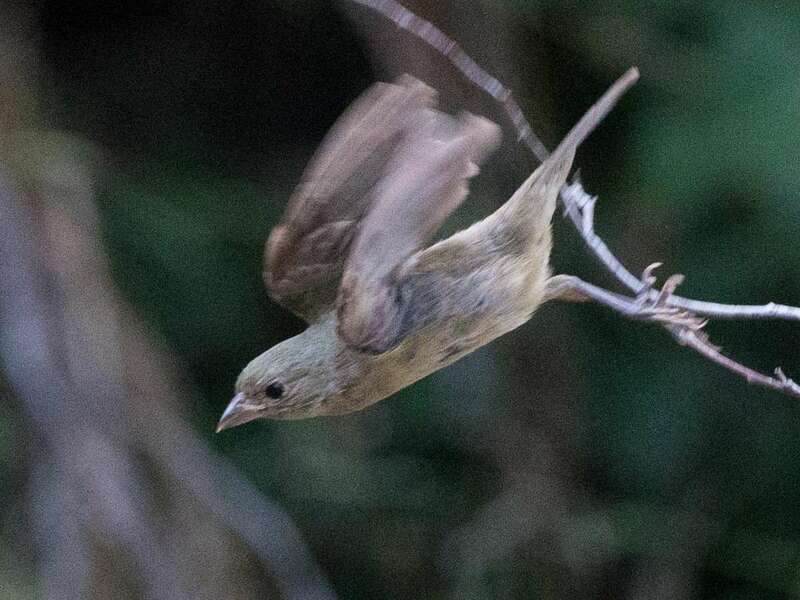 It took off flying behind some small trees but I played some “chack” calls of this species and sure enough it came flying right back making the same call. 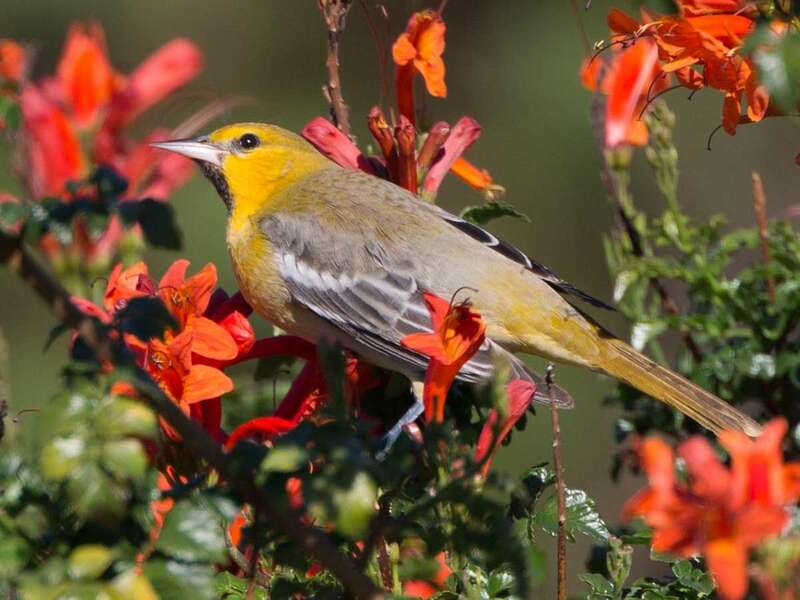 I tracked after this oriole as it flew to a superb looking Cape Honeysuckle that was just smothered in flowers. 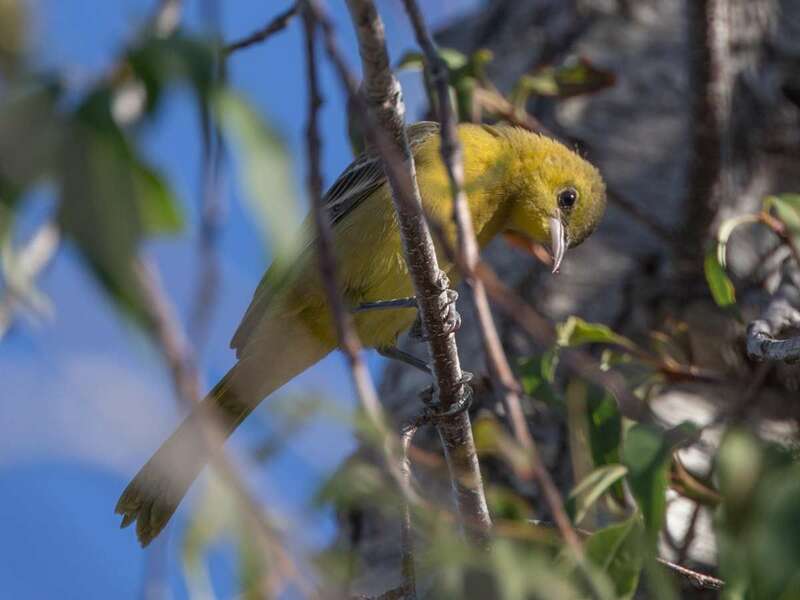 Playing some more “chack” calls I pulled out a second small oriole, this time a female, which seemed to be loosely traveling with the first bird. 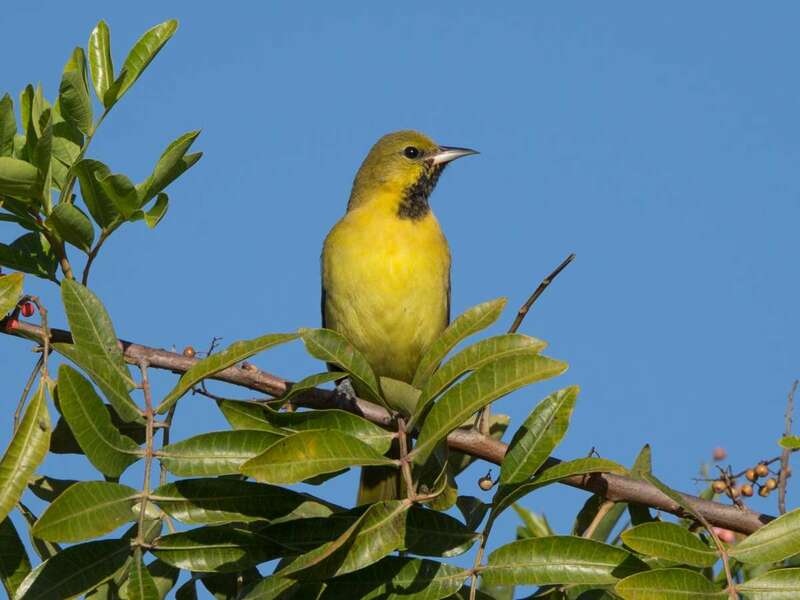 The tail seems a bit on the short side for Hooded Oriole and the bill a bit straighter and weaker looking to my eye. I only heard “chack” calls coming out of the bush so it seems likely this is a second Orchard Oriole. 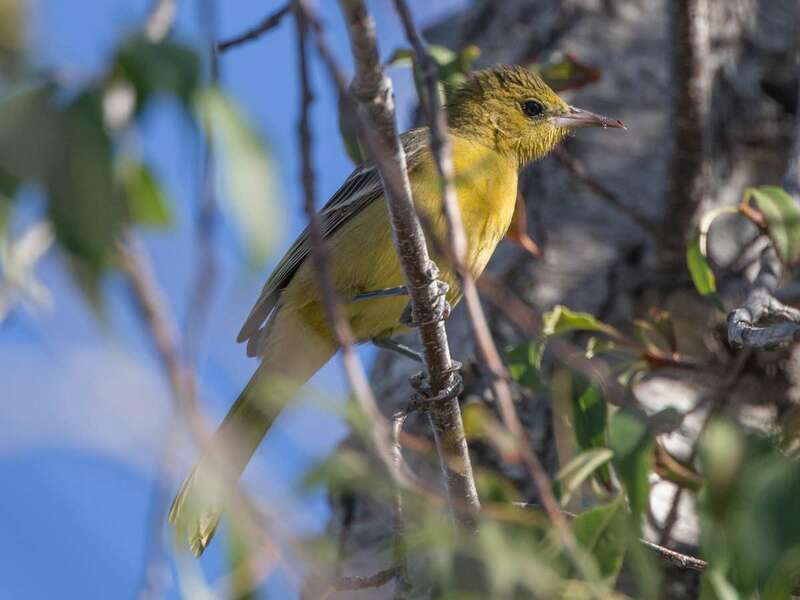 The pack of orioles continued to grow bigger when I then noticed a slightly larger bird moving around and a brightly colored immature male Bullock’s Oriole Icterus bullockii came into view in the same bush. I will be keeping my eye on this spot, who knows what other orioles could be in the neighborhood! [All photographs copyright, Gary Nunn 2015] – Light westerly winds this Thanksgiving Day 26 Nov 2015 so I popped down to Point La Jolla in the morning to check for bird movement on the ocean. 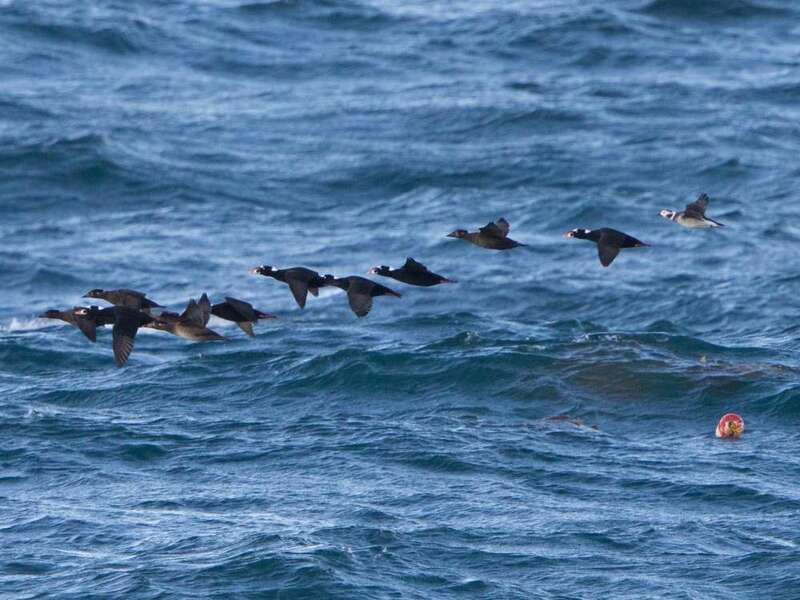 Large groups of Pacific Loon were moving south along with a few small flocks of Surf Scoter so I stuck around. 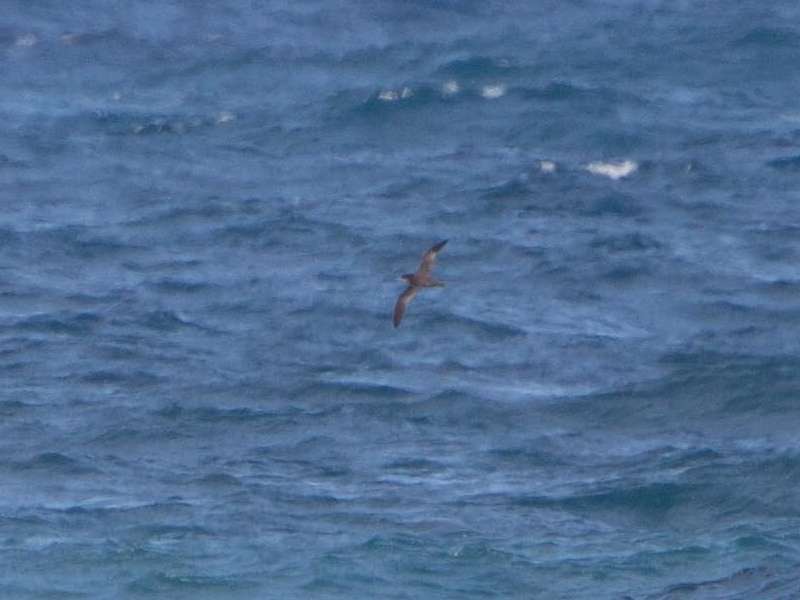 About 9:41AM Matt Sadowski spotted a small dark-colored shearwater with snappy flight manner and quite dusky feathering on the underwing. That’s interesting! I watched and photographed it through the 1000mm lens setup capturing some distant photographs. 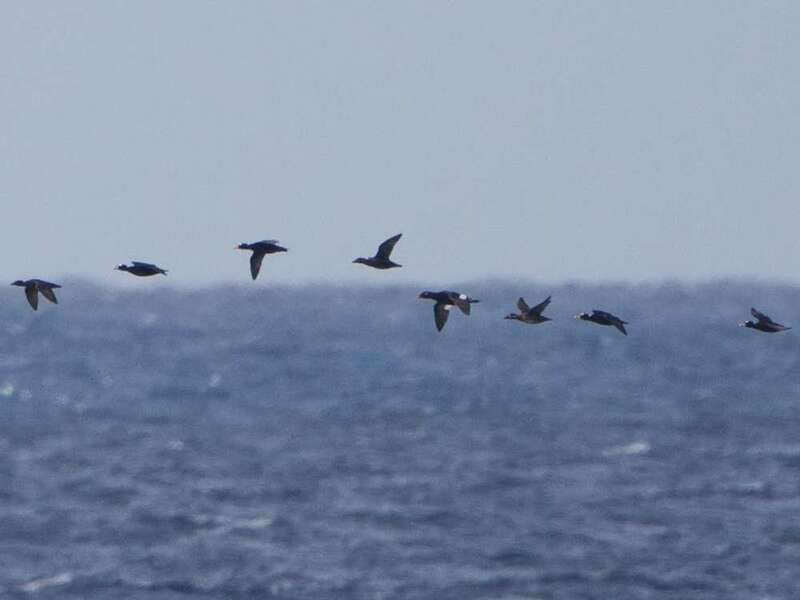 It certainly looked to my eye to have more lightweight snappy flight action than a Sooty Shearwater, making some nice fast quick arcs, and also a more uniformly dusky looking underwing compared to this species. 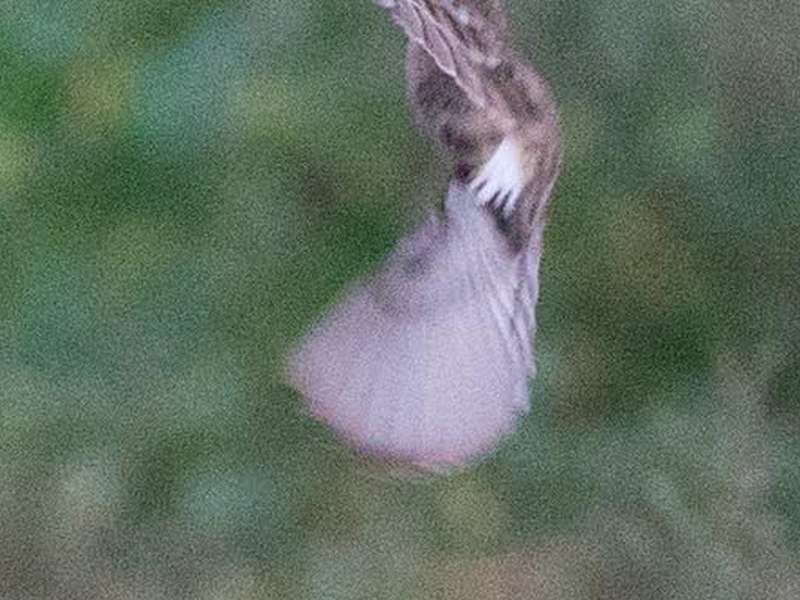 In addition the pale chin and throat area was noticeable, it also had a more dark capped appearance, and the secondaries looked paler on the upperwing sort of forming a panel (reflection of light off fresh feathers?). 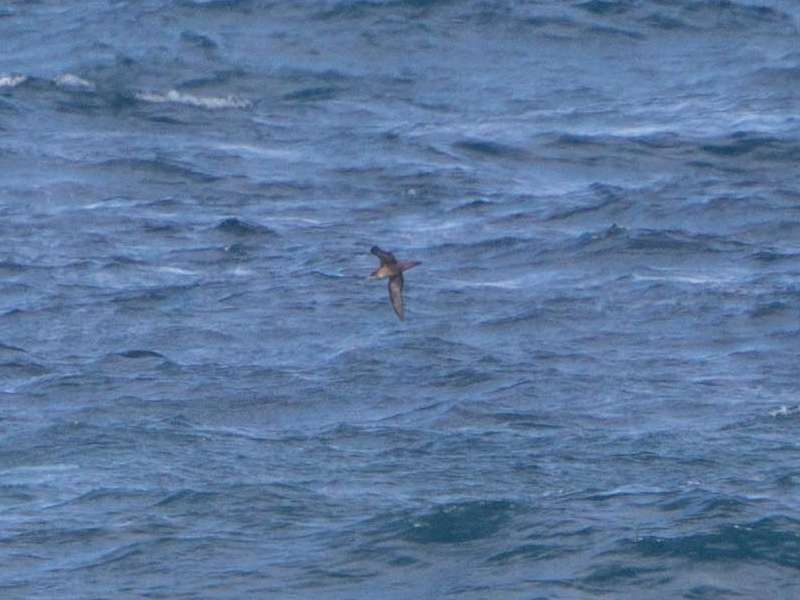 For a moment initially I thought it might be a dark Pterodroma gadfly petrel because the wings were held crooked much of the flight action, again unlike Sooty Shearwater in my experience. 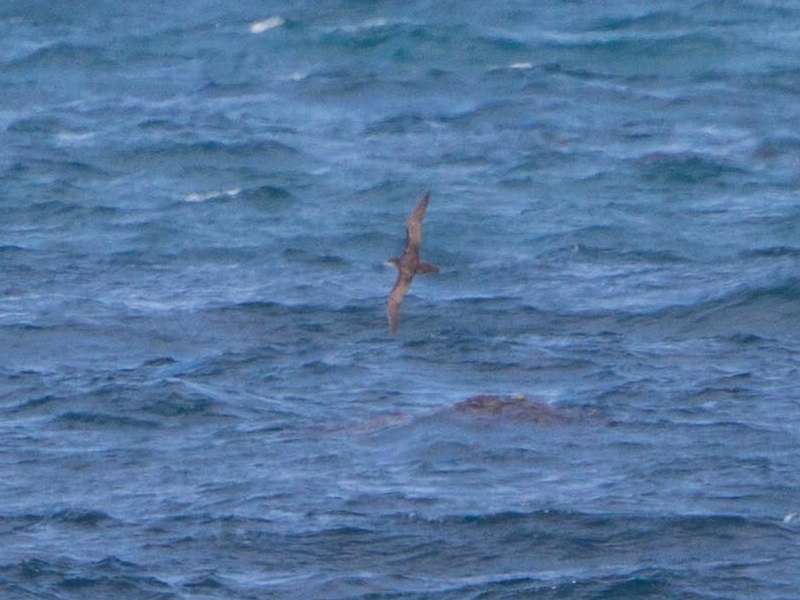 Putting together the field marks both Matt and I feel confident this is a Short-tailed Shearwater Ardenna tenuirostris which is rarely seen from shore here in San Diego County. 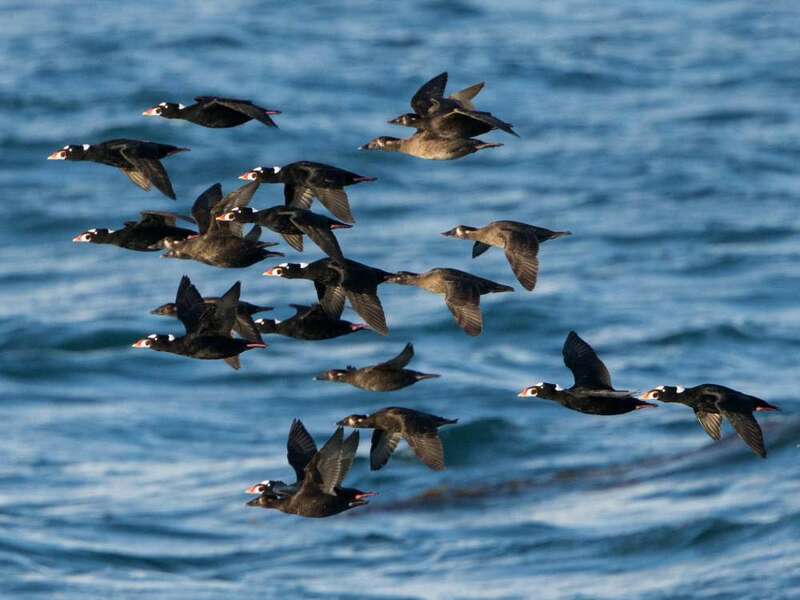 In fact, checking eBird, there are no validated sightings of this species anywhere in Southern California this year. 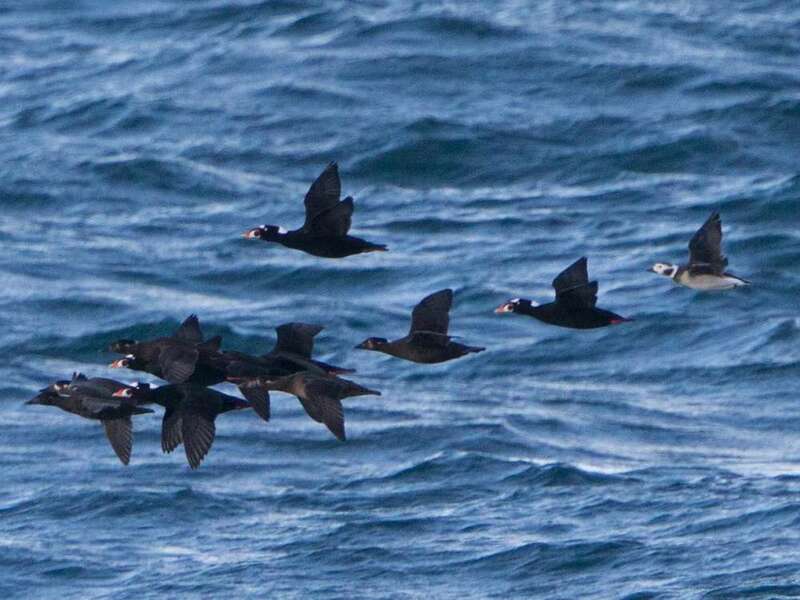 Nearest reports come from the currently active seawatching program at Point Pinos, Monterey, with a small number of sightings recently. 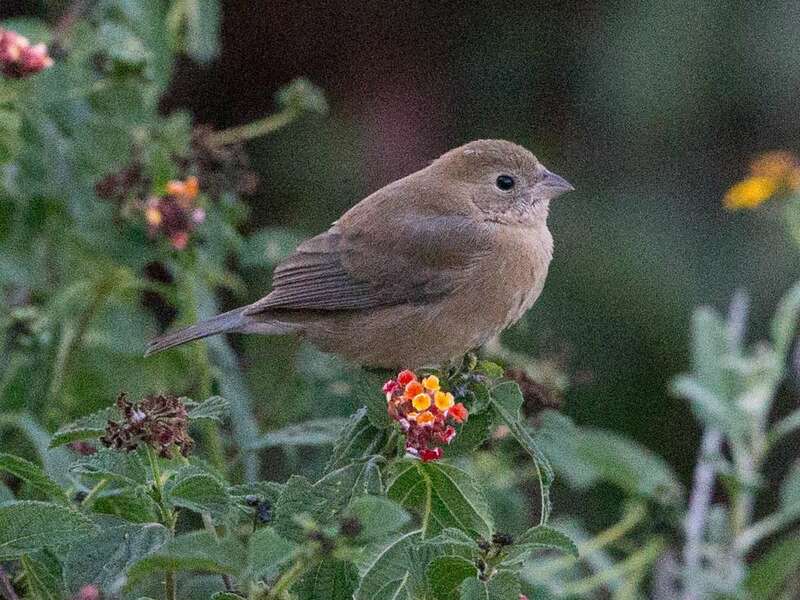 Comparable photographs to the Point La Jolla bird can be found in Brian Sullivan’s eBird checklist. 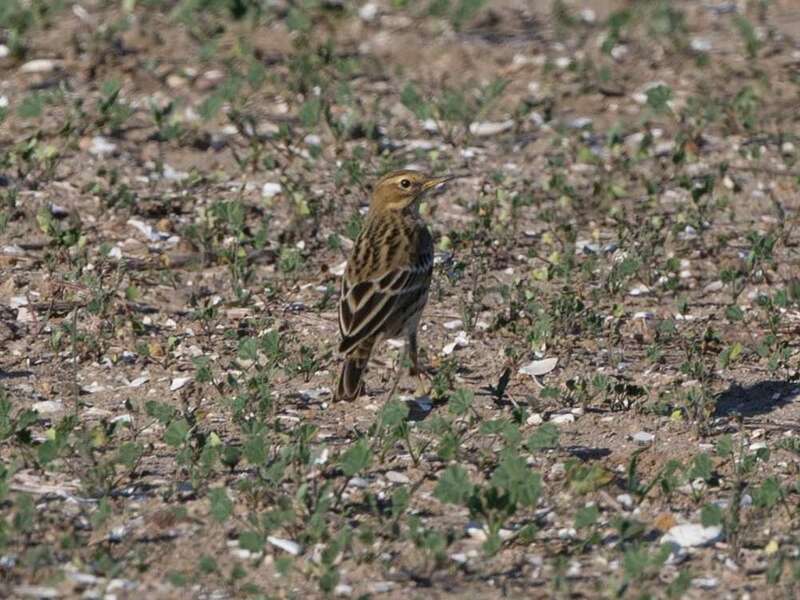 [All photographs copyright, Gary Nunn 2015] – A new arrival at Fiesta Island, Mission Bay, San Diego County this morning was a single Lapland Longspur Calcarius lapponicus in among the Horned Larks and American Pipits. 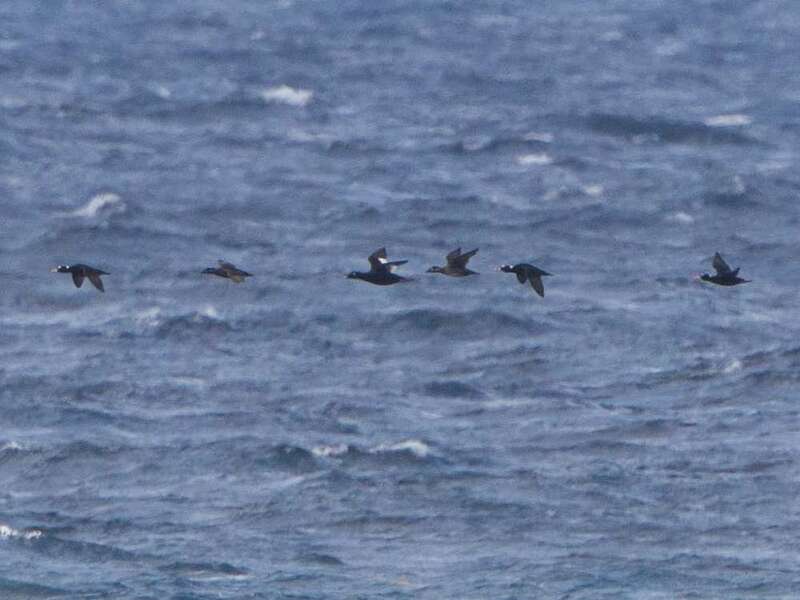 It moved off with the mixed flock giving a typical rattle call in flight. Not very approachable in the very open habitat conditions in the southeast section of the dog park. 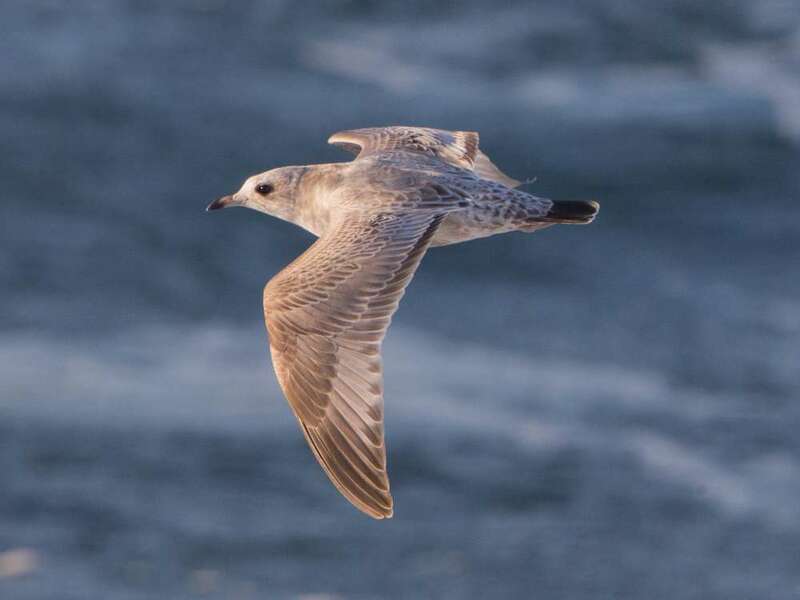 [All photographs copyright, Gary Nunn 2015] – Seawatching got underway at Point La Jolla over the last few days with a cold front coming down from the north and strong onshore winds pushing birds on to the coast. 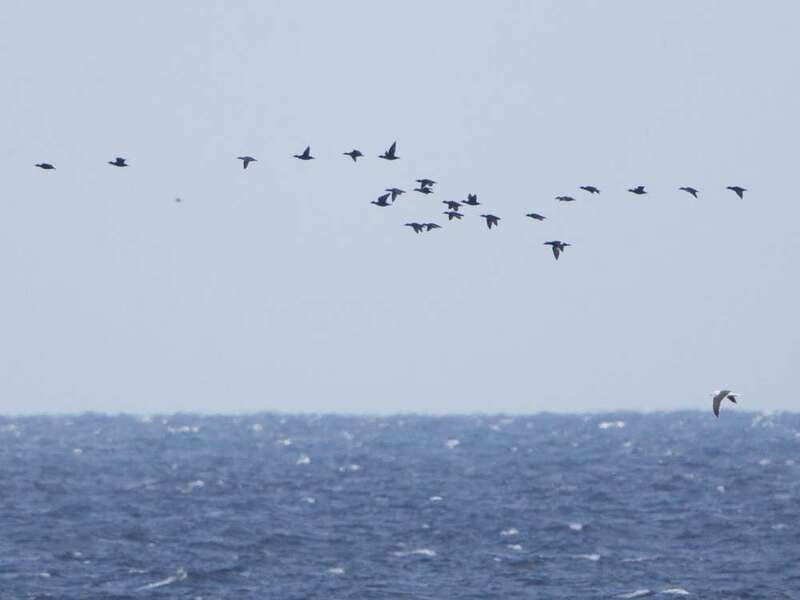 Loon and seaduck migration underwent a definite uptick with some nice finds picked out in the Surf Scoter flocks passing by southbound. A few highlights below from Point La Jolla on 03-04 November 2015. 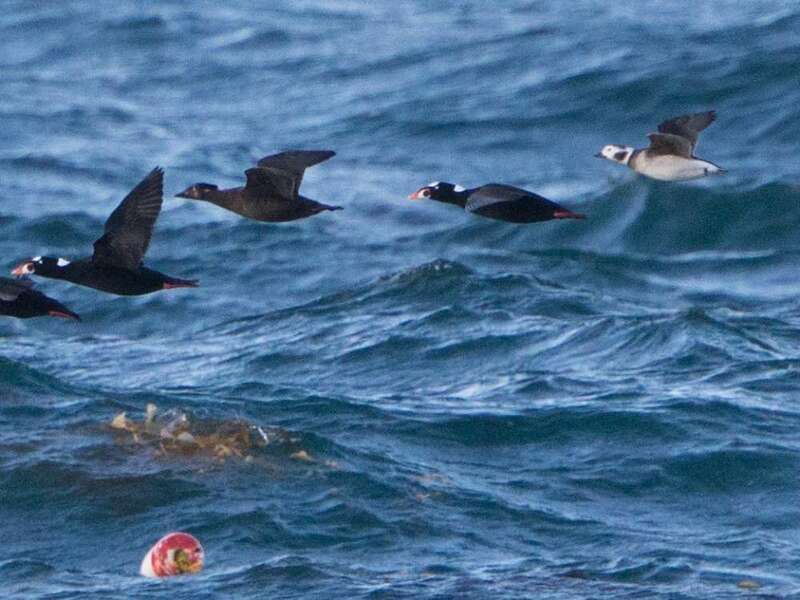 All photography done with the 1000mm setup on the Canon 1Dx camera as birds pass the point. 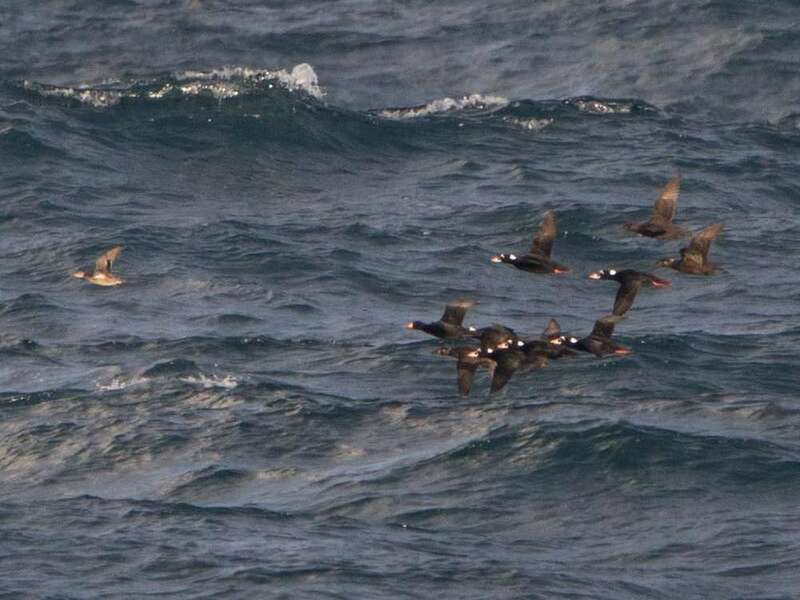 Best highlight was an adult female Long-tailed Duck Clangula hyemalis tucked in with a band of Surf Scoter. 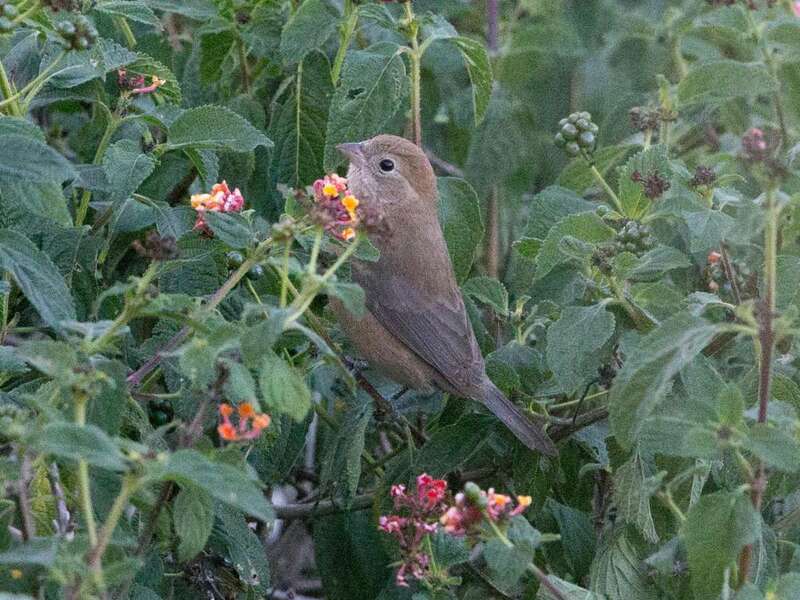 New county bird – Varied Bunting in Point Loma! [All photographs copyright, Gary Nunn 2015] – I decided to try my luck again in the late afternoon at Fiesta Island dog park in Mission Bay and, in spite of arriving late at about 4:45pm, was not disappointed with the birds. 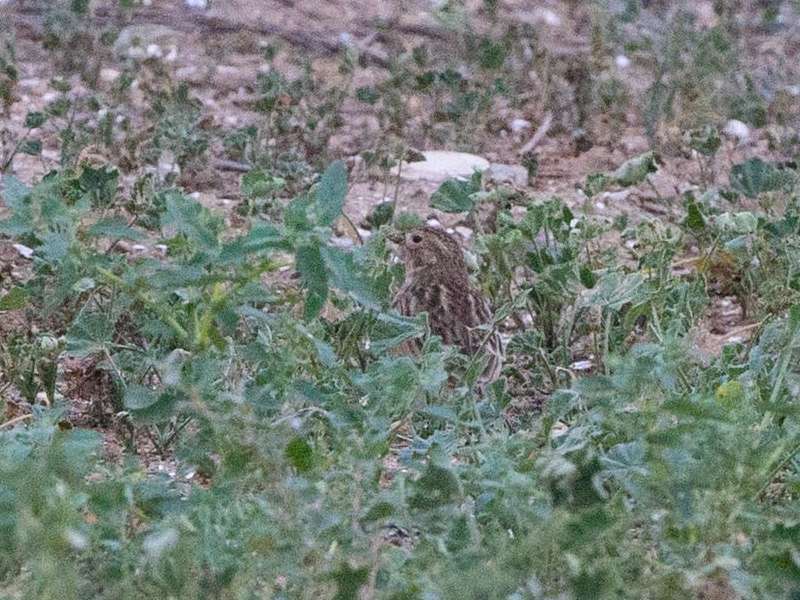 I returned to where I had seen a mystery pipit flush yesterday afternoon and quickly located two Red-throated Pipit Anthus cervinus traveling together giving their loud “speeee” flight calls. They did not move far but remained well hidden in thicker vegetation and I only managed some brief looks. 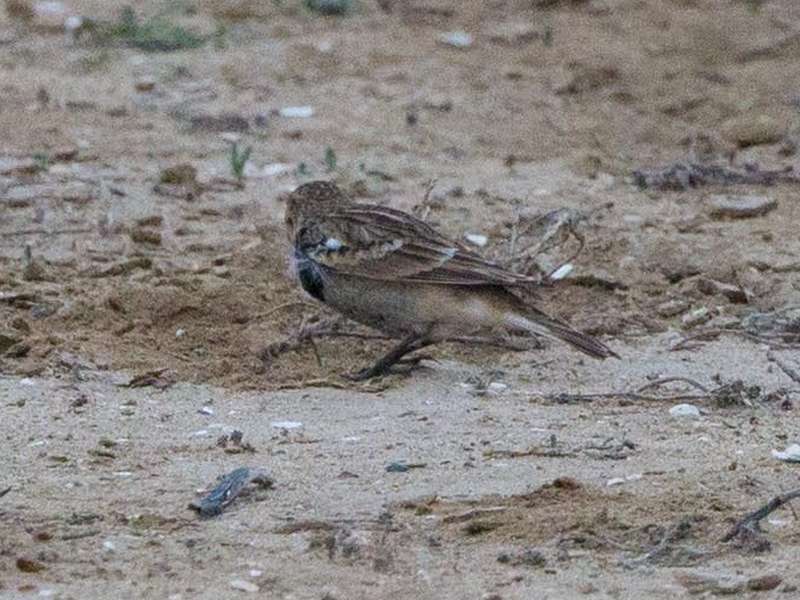 I decided to keep on slowly walking around and at about 5:30 pm I flushed a Chestnut-collared Longspur Calcarius ornatus close to the location of the pipits. 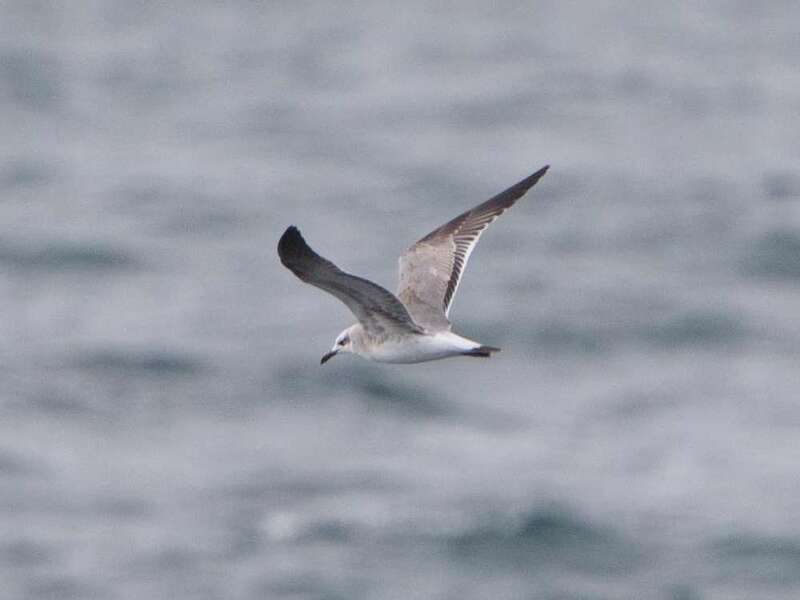 It called frequently, the pleasant sounding “kidedel” flight call, and did not move too far in short flights showing off much white in the tail. Unfortunately the light was failing pretty quickly and it remained well hidden among taller vegetation clumps. After several walk up flushes I finally got lucky and it made a short shift in position sideways, on a wind gust, and alighted on the open ground right in front of me! 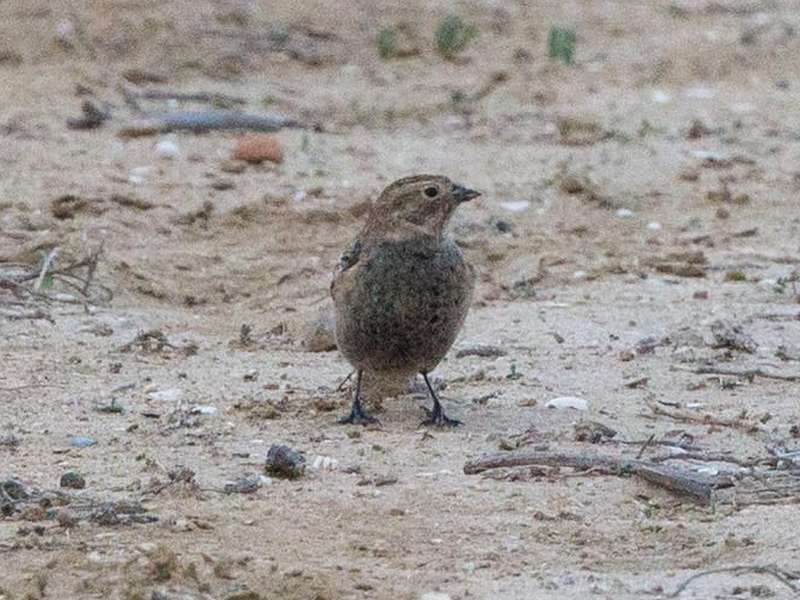 This appears to be a male with fine black underparts visible although with much pale brownish veiling of the feather edges. Similarly the chestnut collar is visible but muted by pale feather edges and the poor lighting. 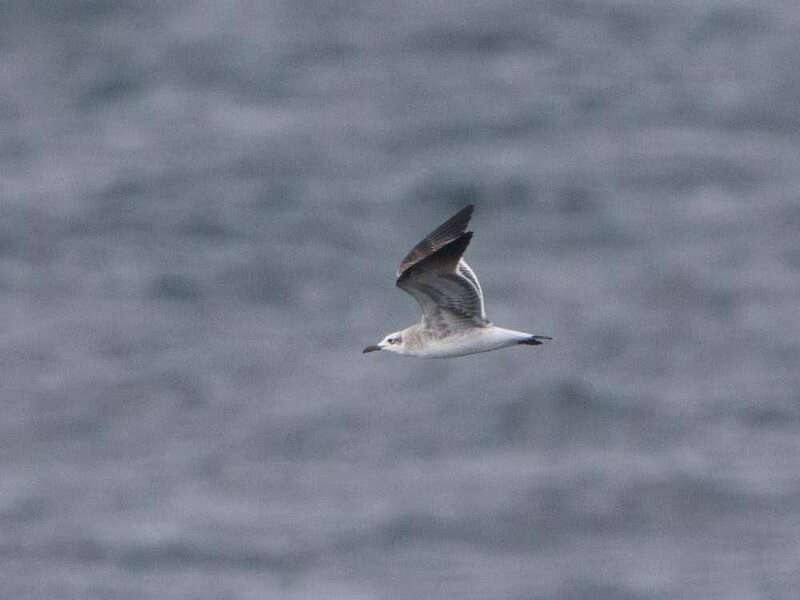 Also visible is the white lesser secondary coverts patch and, in a rather poor flight shot, the black-white tail pattern can be noted. 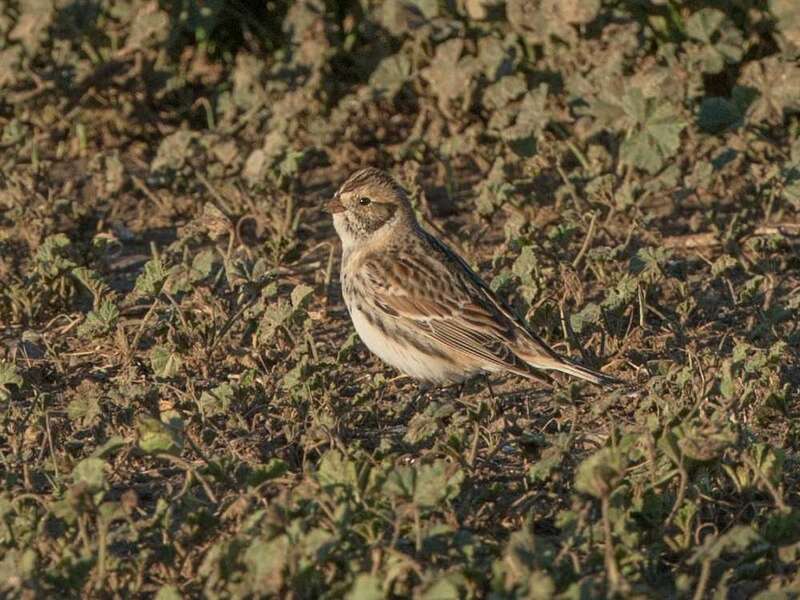 This species has a quite small and darker horn colored bill also distinguishing it from McCown’s Longspur. It finally took off and disappeared east towards the wide open southeast section of the dog run. [All photographs copyright, Gary Nunn 2015] – After being out of town for the last week, while many great birds were being found in San Diego, I decided after getting home I had to at least take a late afternoon walk with my dog at Fiesta Island, Mission Bay. Good decision! 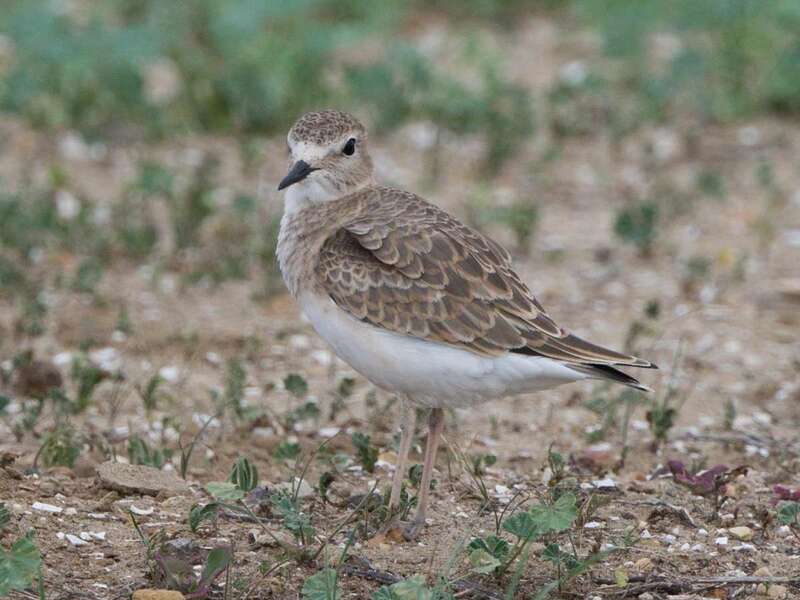 I had hardly walked fifty yards in the very birdy southeast section when I spied a large pale plover ahead. 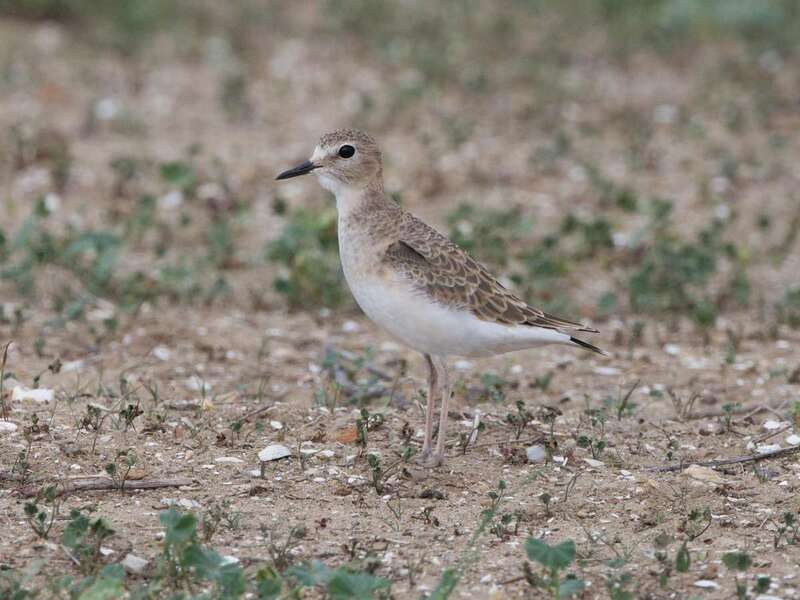 Just within a couple of minutes being here and there was a Mountain Plover Charadrius montanus standing right in front of me! I could hardly believe my luck! 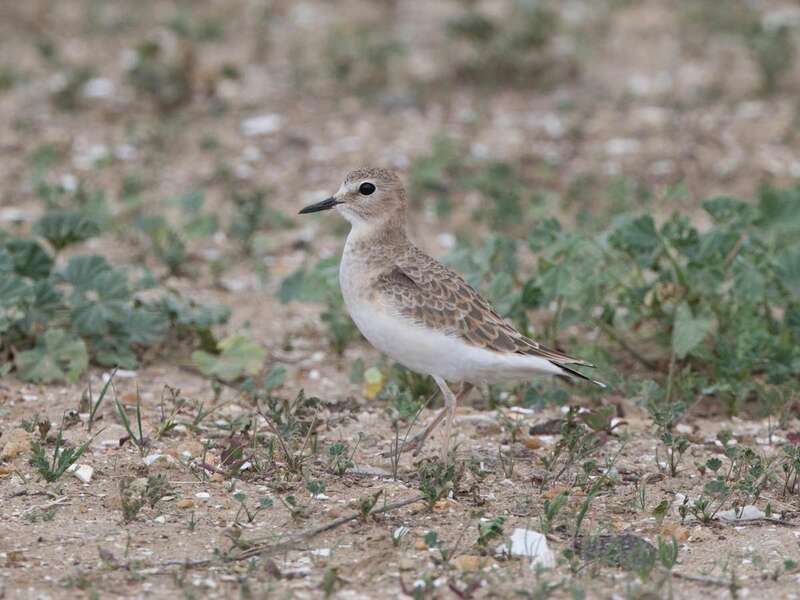 I put my dog on the leash and carefully approached the plover which was not too skittish. It did take off in flight and make a big circuit before dropping back into the open southeast section of the dog run. In flight it could be heard calling, a sort of harsh croaking “krrrrt”, as it flew by overhead. 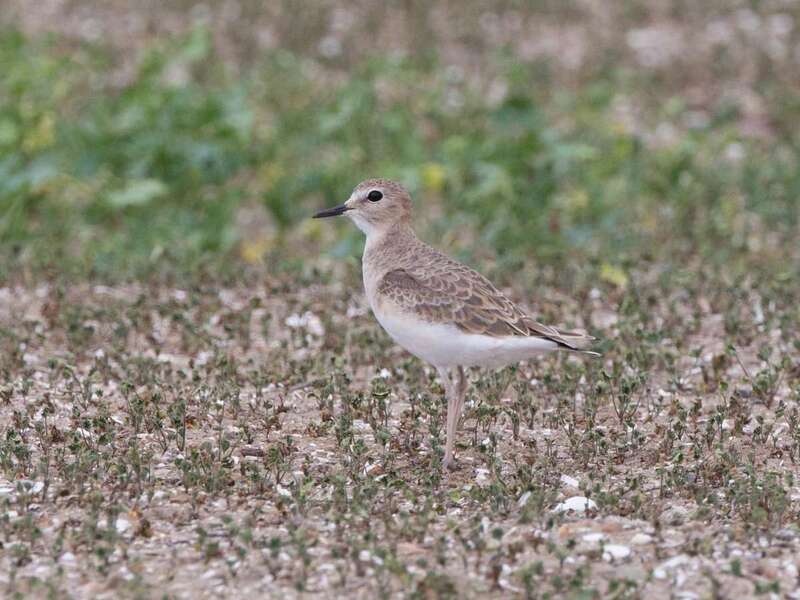 Mountain Plover is now a very rare visitor to San Diego County, last seen in 2010 also here at the dog park on Fiesta Island, Mission Bay. In 2009 a group of six were found by Robert Patton in the Tijuana Slough National Wildlife Refuge. None since! I’ve been hoping to find my own here in Mission Bay so this was a lot of fun to discover and put on my county list! 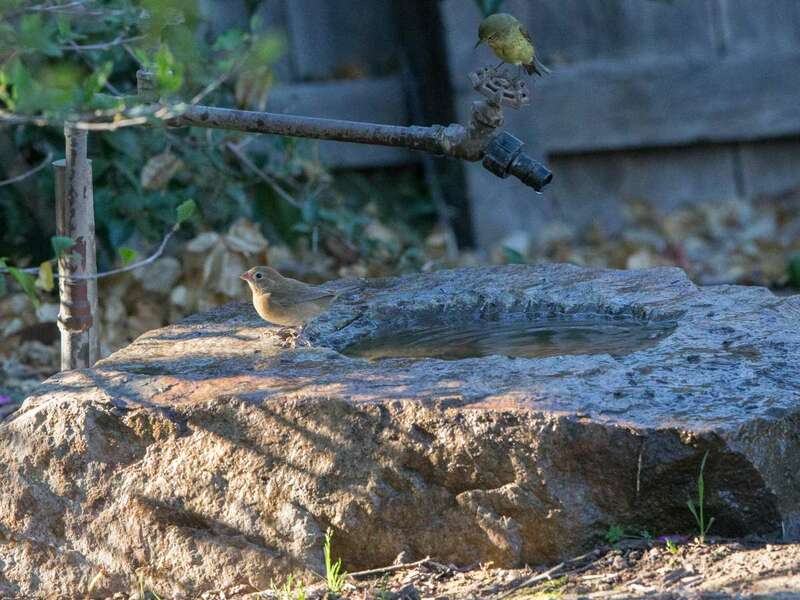 Red-throated Pipit in Mission Bay – maybe two? 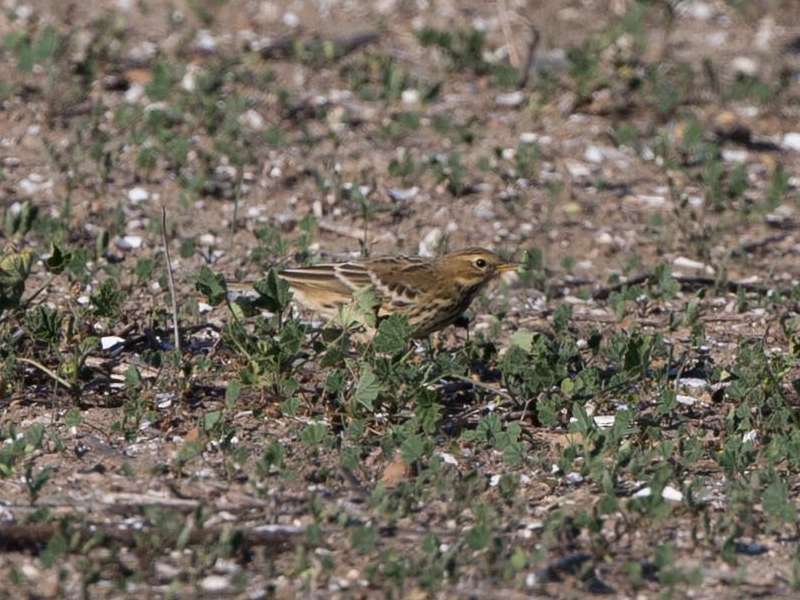 [All photographs copyright, Gary Nunn 2015] – Today 02 Oct 2015 I followed up on a reported Red-throated Pipit Anthus cervinus, discovered by David Holway the day before, on Fiesta Island in Mission Bay, San Diego. This is a rather unusual location for this species since most reports come from the Tijuana River Valley. 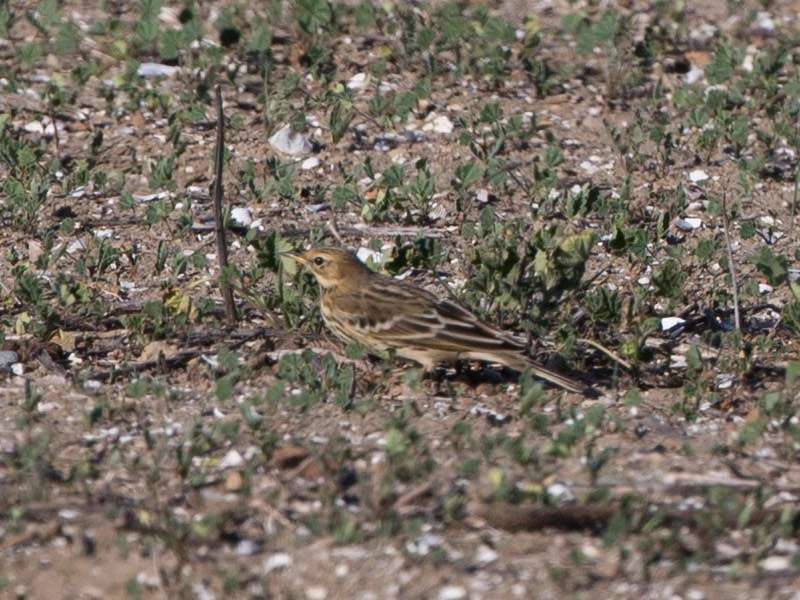 In fact there are no records of this species for Fiesta Island in either the San Diego Bird Atlas or eBird although large American Pipit flocks occur here so the potential for their occurrence certainly exists. 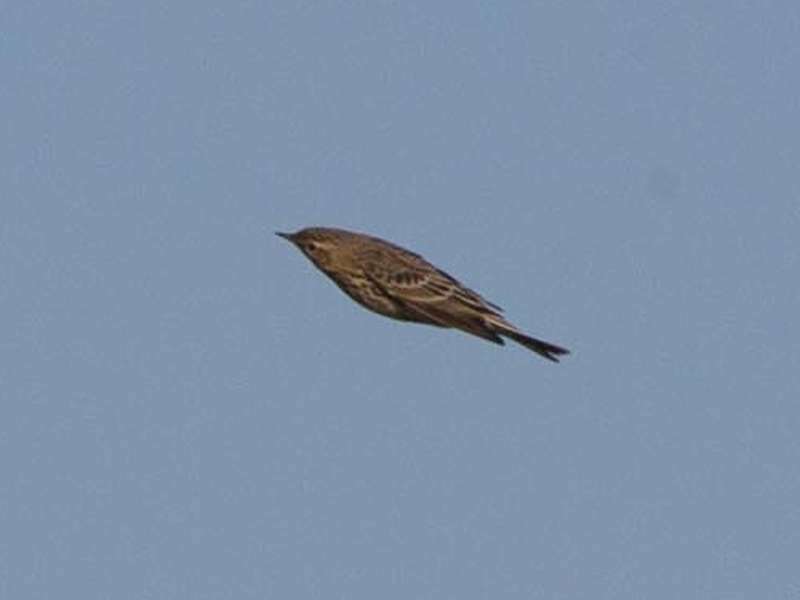 I first heard this individual flying overhead giving its characteristic “sreeeh” call which is much finer sounding than American Pipit. It alighted some distance away so I hiked on over to it. 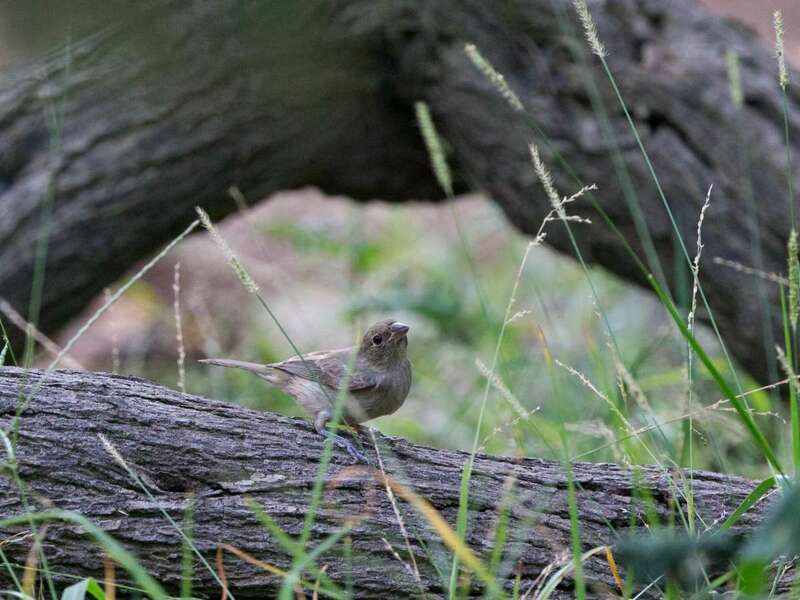 However getting close to this bird proved very challenging. About fifty yards from the bird and off it would flush! All my photos were taken from some distance away! 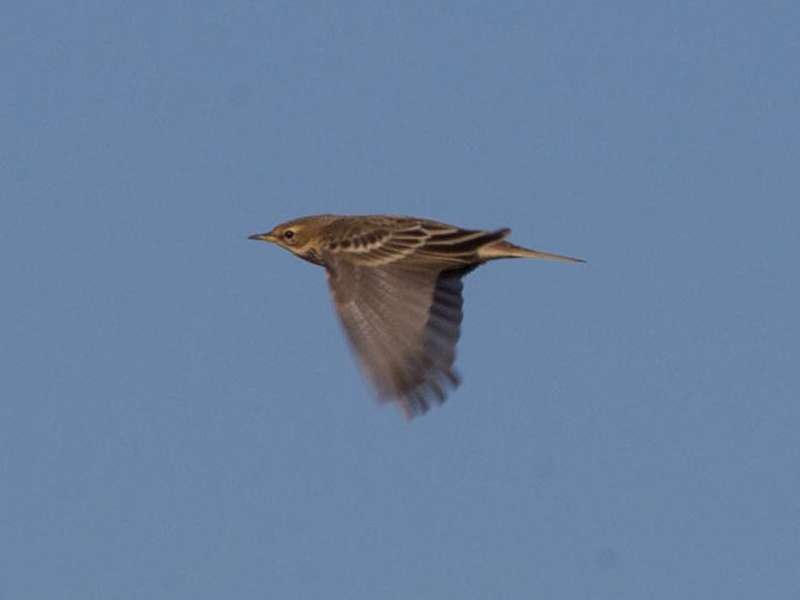 The streaked crown, darkly marked back with white mantle stripes, tooth shaped generous dark centers to median coverts, blackish tertials with standout whitish edges, and relatively shorter length tail can all be noted distinguishing this species from American Pipit. 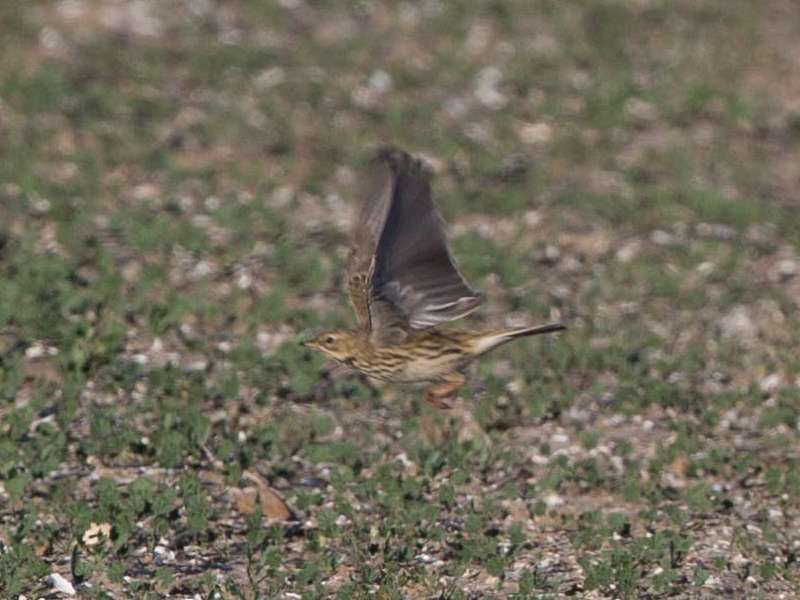 In addition one of the flight shots show the more brightly colored pink legs quite unlike the dark legs of American Pipit. 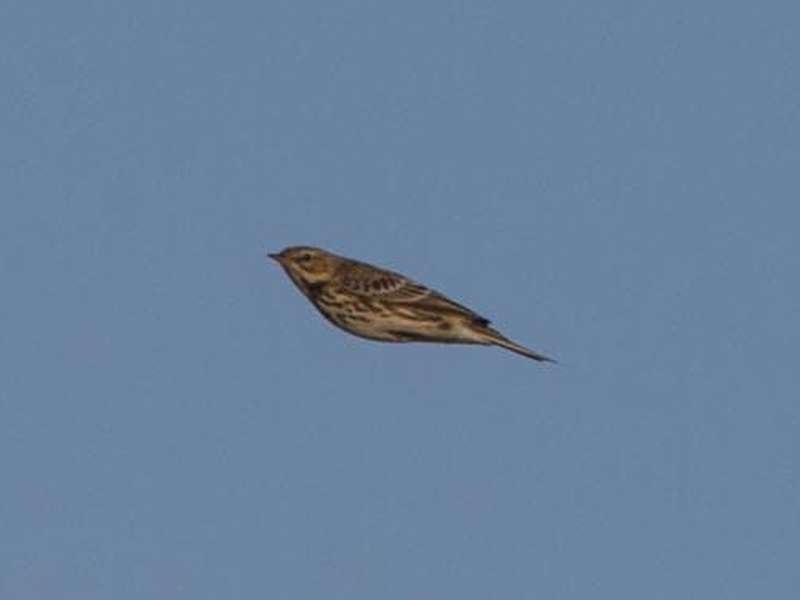 I followed the Red-throated Pipit around for some time as it moved from place to place accompanied by a second pipit. 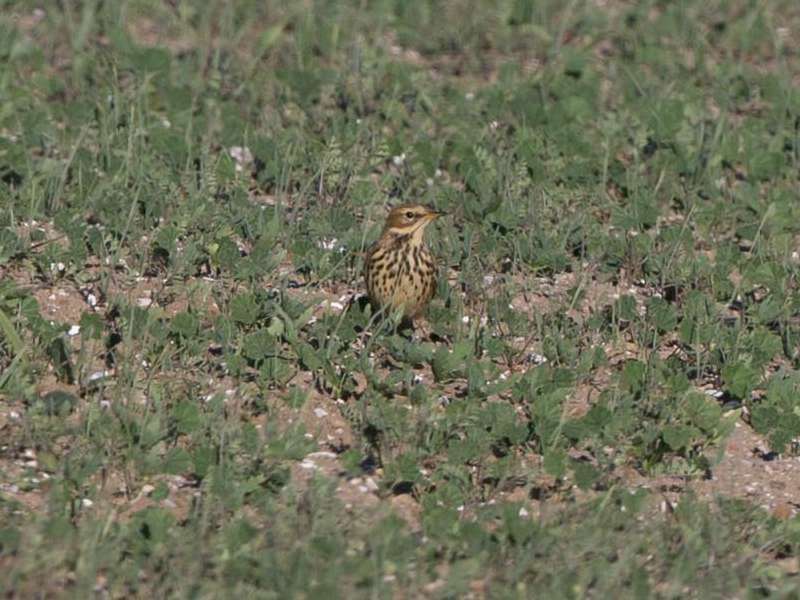 I should have looked at the second bird more critically since I think now it might actually have been a second Red-throated Pipit! 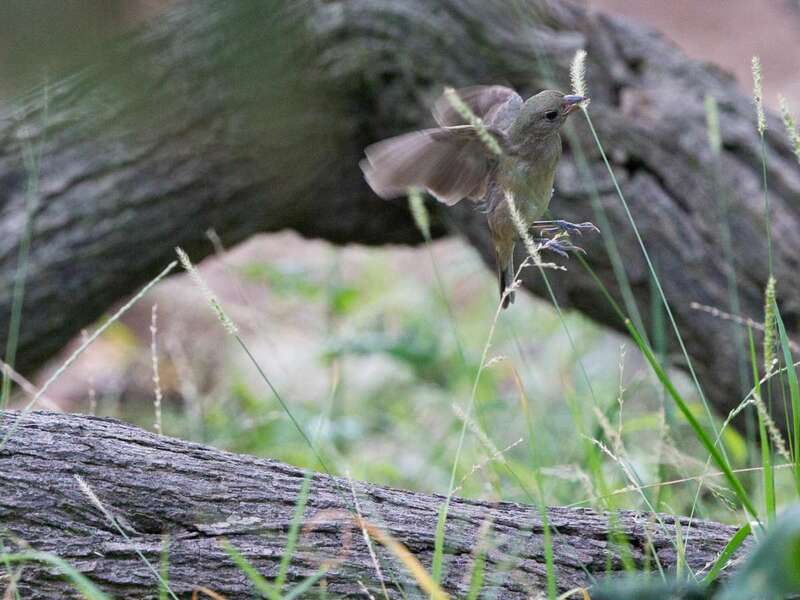 I finally caught up with the two birds in a vegetated berm side and photographed them both in flight leaving the berm. 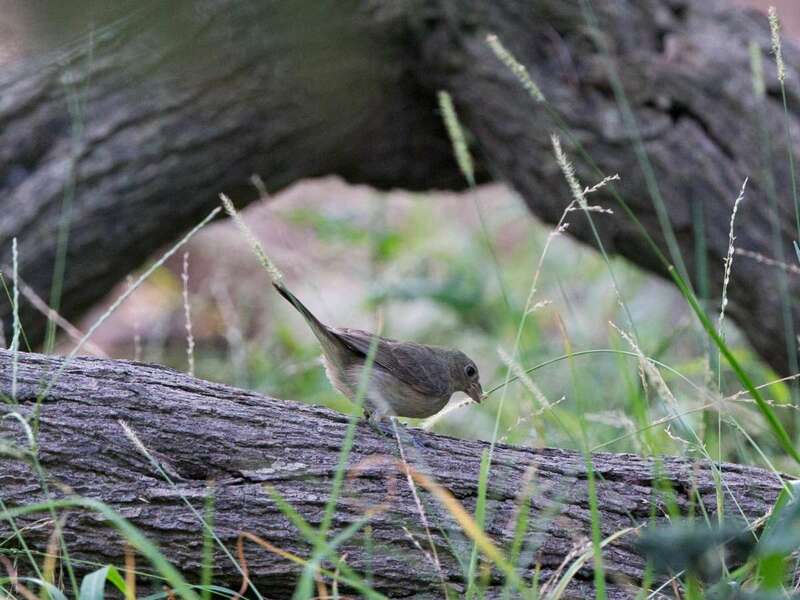 The four photographs below show the first bird that left the berm in front of me. I heard a Red-throated Pipit call right as this bird took flight. 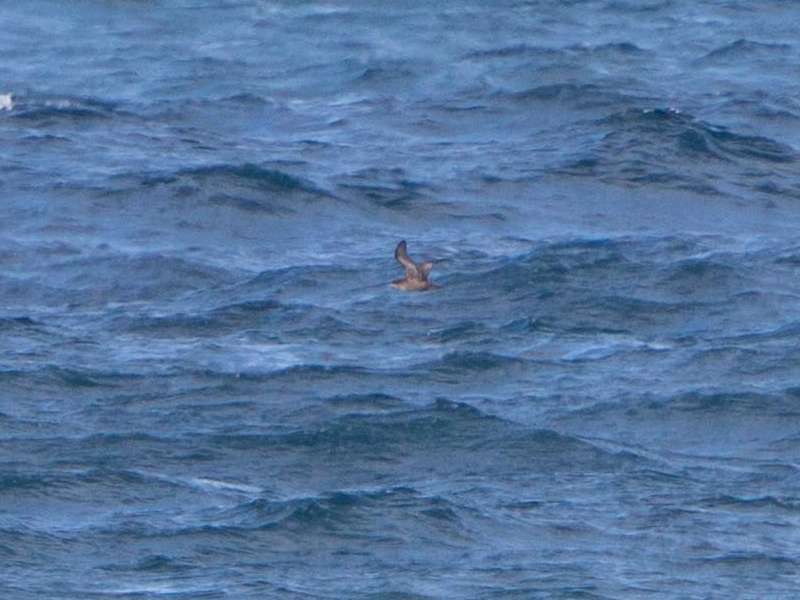 However just five seconds later a second bird took off from the same location also giving the call. So it is not clear to me if the first bird was actually the origin of the call since they seemed to be coming from the same place. 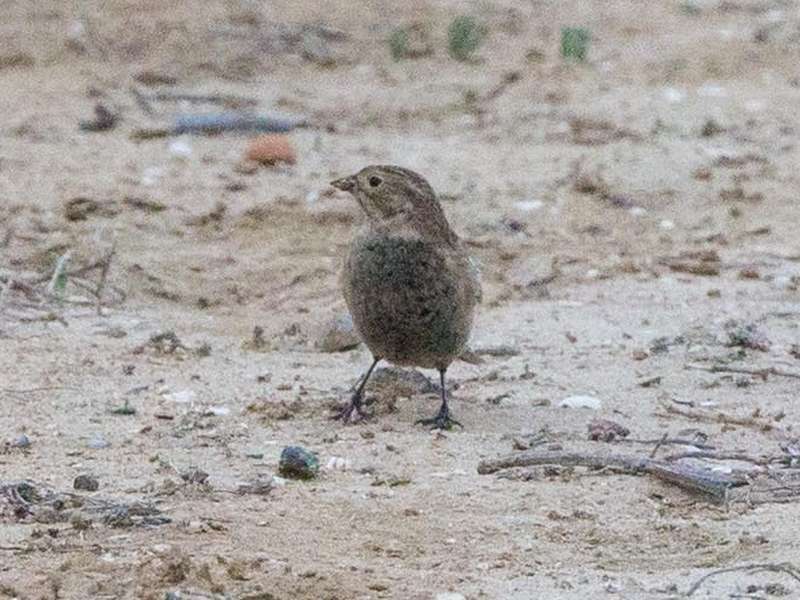 So far as I can tell from the photographs the first bird is also a Red-throated Pipit showing more darkish lores and a streaked crown, the generous dark tooth shaped centers to median coverts, as well as long blackish tertials with whitish edges, and a shorter looking tail. 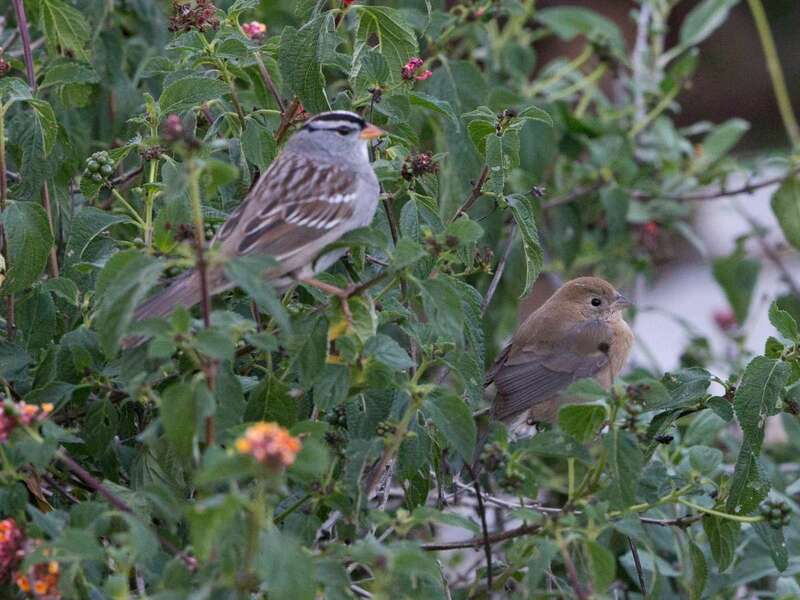 Both of the birds seem to show the yellowish lower mandible base. 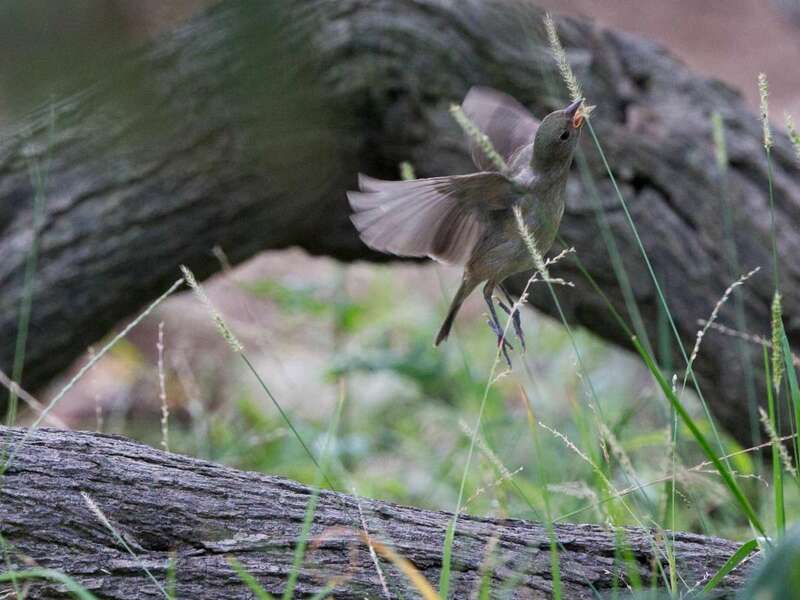 The photograph below shows the second bird leaving the berm. 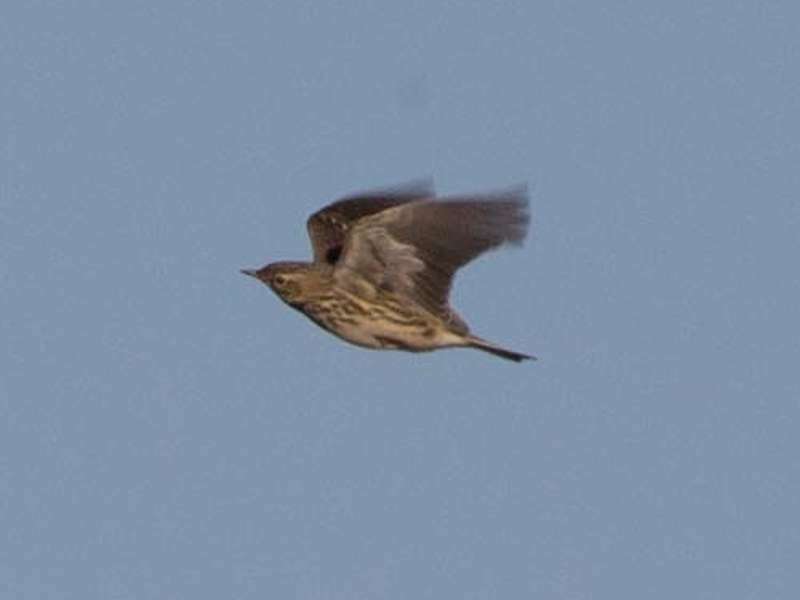 This individual was definitely giving the call of a Red-throated Pipit as it took flight and continued calling as it went by me. 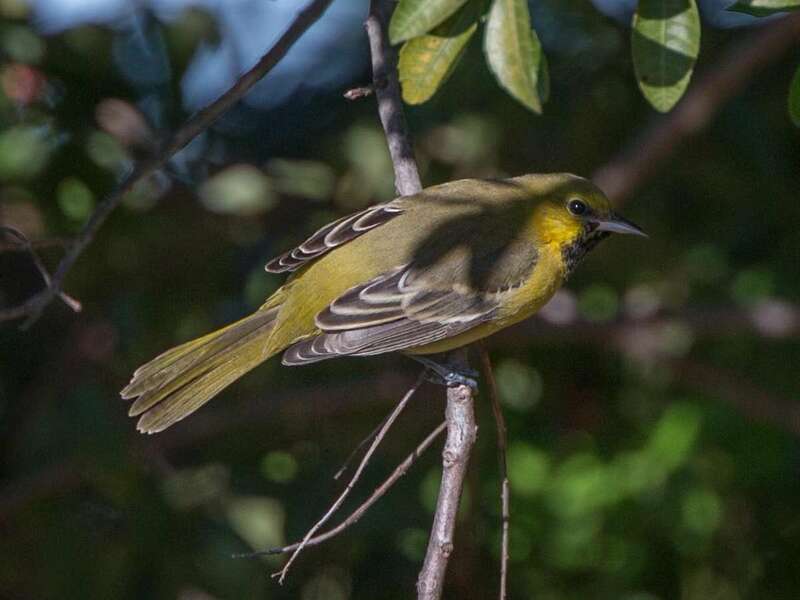 [All photographs copyright, Gary Nunn 2015] – Frustrated by the Cabrillo National Monument being closed this morning, due to a triathlon event, I detoured to Point Loma Nazarene University to check for migrants along the well wooded east fence line. Walking up on my favorite spot, just near the student garden area, I flushed a very interesting drab “wingbarless” Passerina bunting. 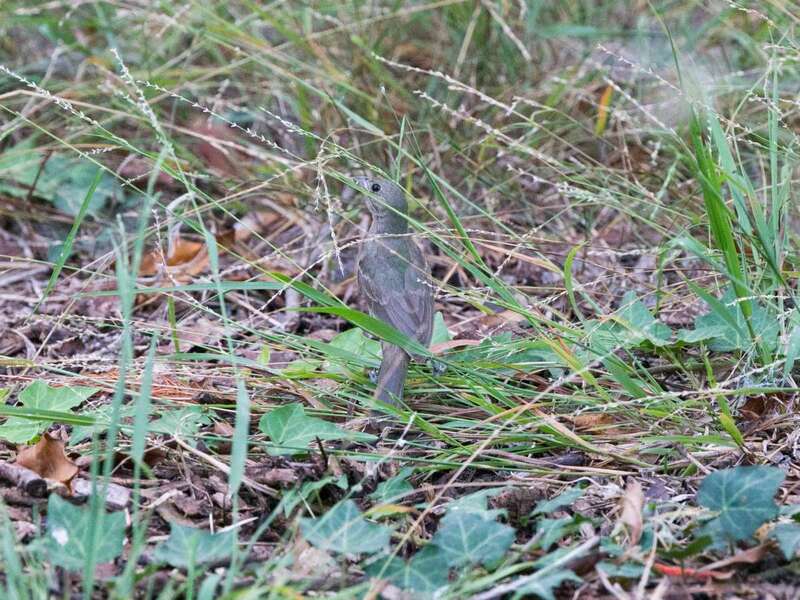 It was feeding on tall seeding grass heads as this genus of buntings love to do. 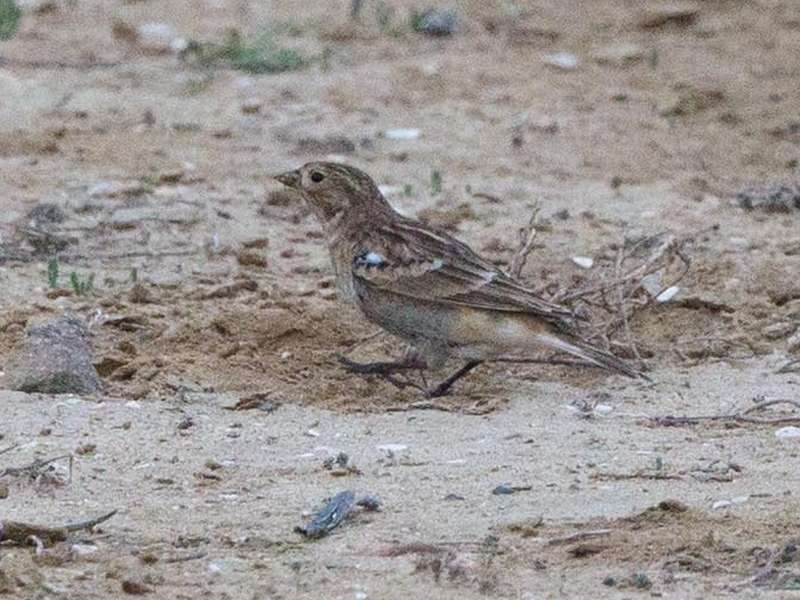 My gut feeling, on the brief look, was it looked a bit too long tailed and larger billed for Lazuli Bunting, and was the wrong drab coloration, cold and grayish, and without prominent wing bars. I decided to wait, and then wait some more, until finally it returned, to the first seeding grass patch, and showed itself much better. 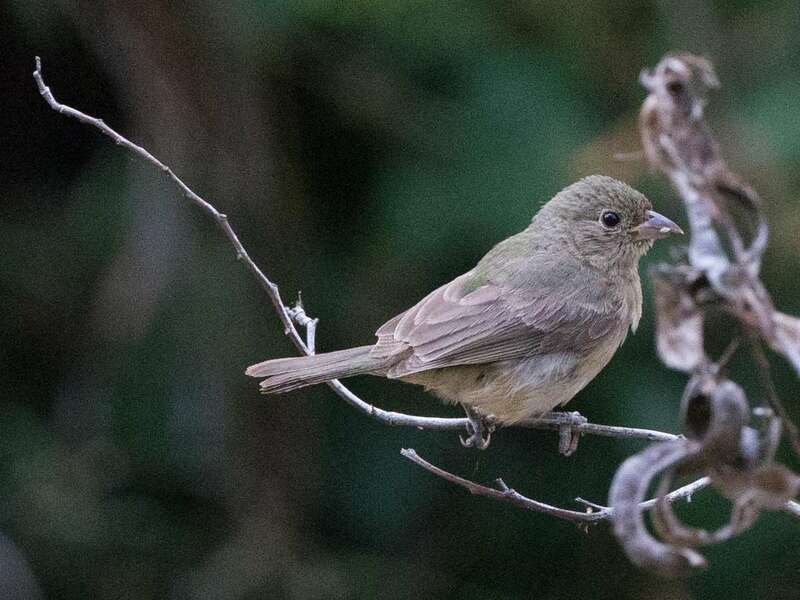 It was indeed a very drab looking first fall Painted Bunting Passerina ciris, most likely a female based on the limited green feathering present. 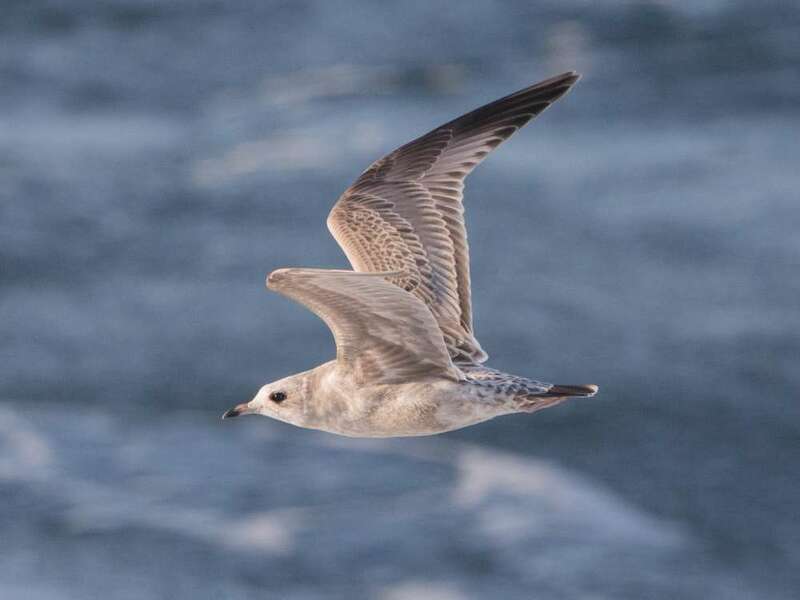 In fact viewed with binoculars it just looked completely drab gray and washed buffy yellowish about the underparts. 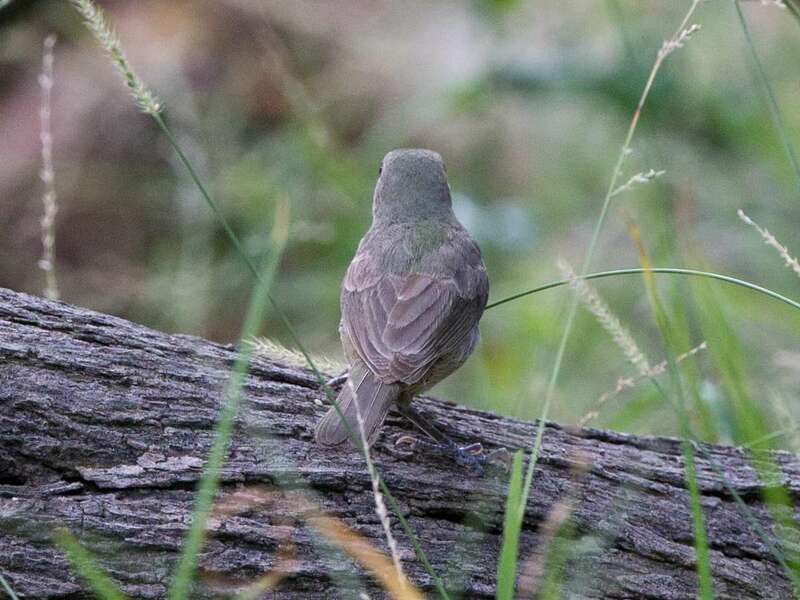 But examination of photographs shows limited bright green feathers on the back, shoulders, and possibly upper tail coverts as well as extensive buffy yellowish underparts. 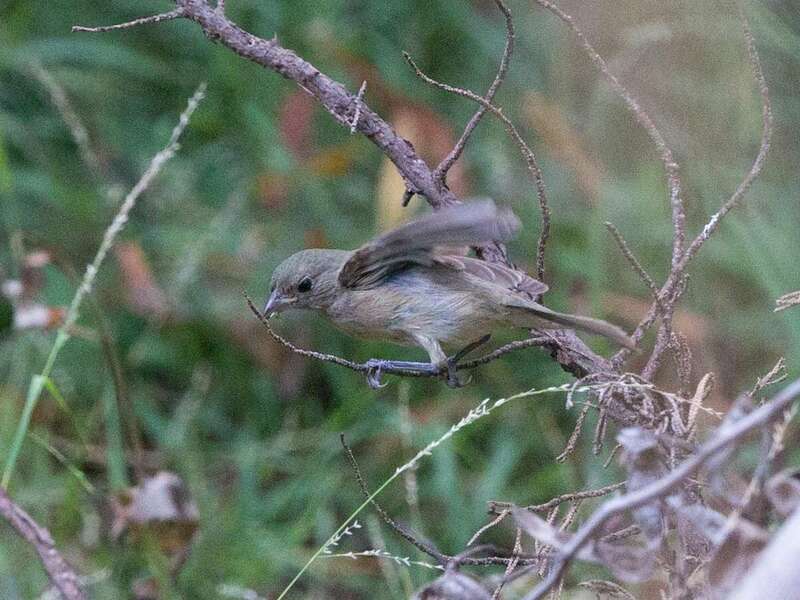 Looking at the photographs back home there is a greenish coloration about the head and upperparts, but definitely difficult to perceive while directly observing in the field. 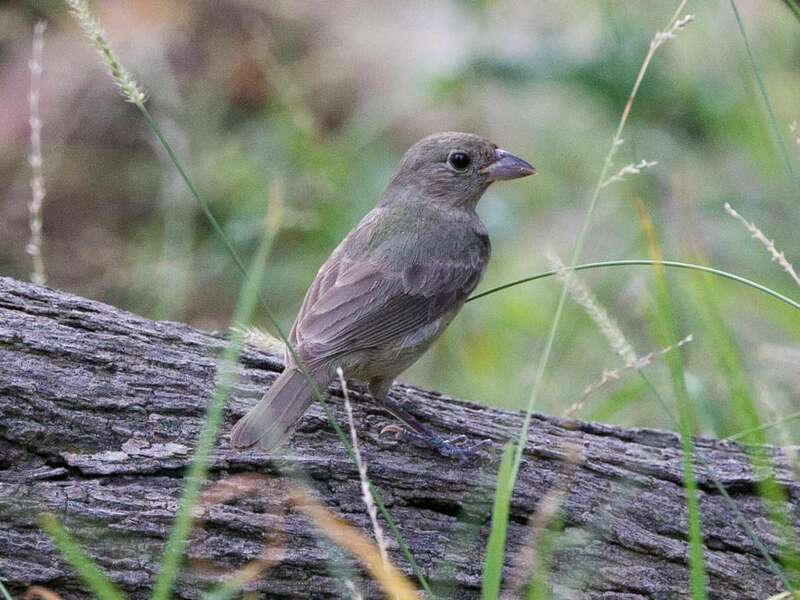 The flight feathers appear completely juvenile and faded brown in coloration. It put on a good show, for a growing crowd of local observers, continuing to feed on the seeding grass heads. I captured some nice images as it jumped up quite high up off the ground to pull the seed heads down. 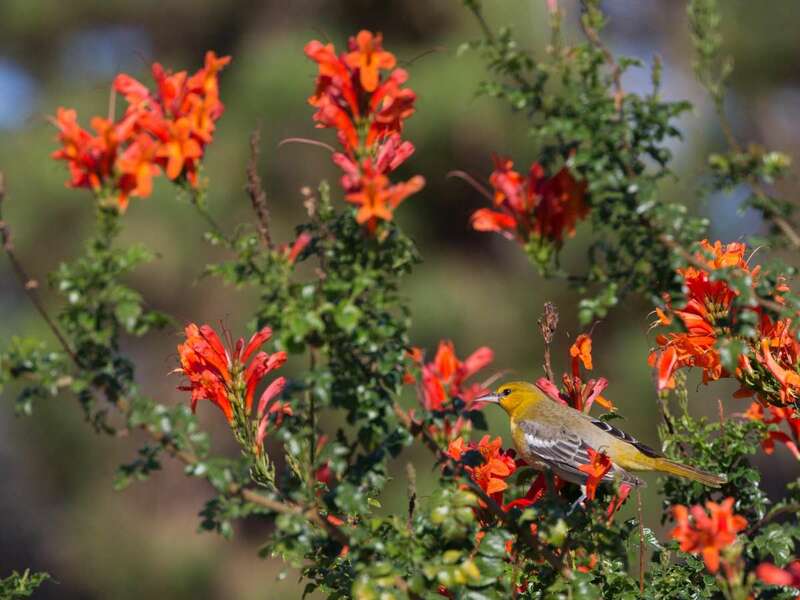 Welcome to San Diego Birding! 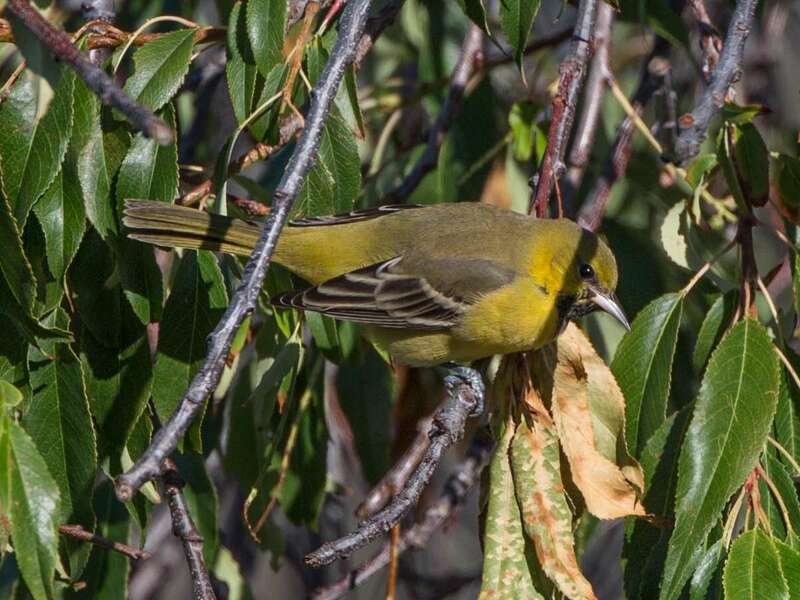 There are plenty of reasons to go birding in San Diego - it's America's birdiest county! Here on my blog you will find posts about local rarities, near endemics, and some of my global birding adventures. Good birding! And thanks for stopping by. Jim Pike on Ross’s Geese at the baseball field! 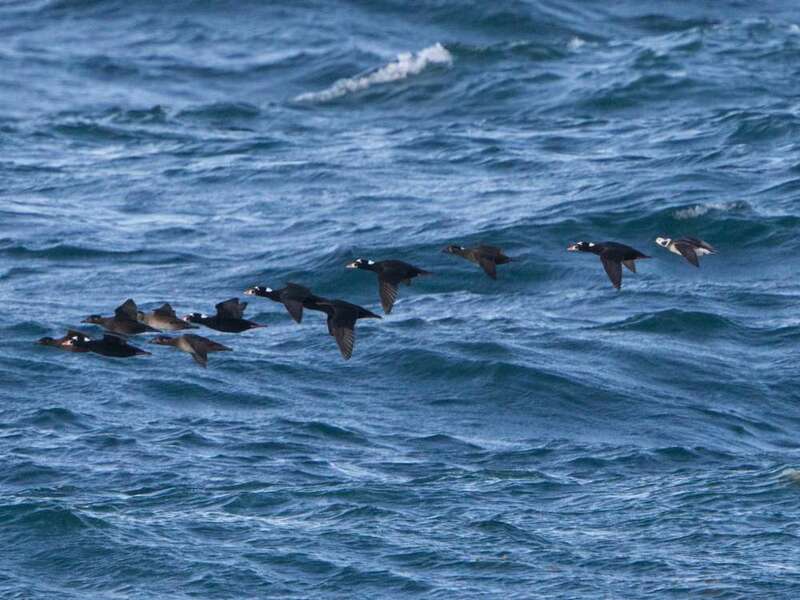 #521 Townsend's Storm-Petrel – Taxonomic addition of this local Mexico endemic previously considered a subspecies of Leach's Storm-Petrel (AOU, 57th supp., Jul 2016). #520 Swallow-tailed Kite – Seen only by a lucky handful of observers as it flew south-to-north in the county on April 22, 2016. #519 Common Black Hawk – Discovered by bird surveyor Jimmy McMorran on March 02, 2016 in closed area of Camp Pendleton. 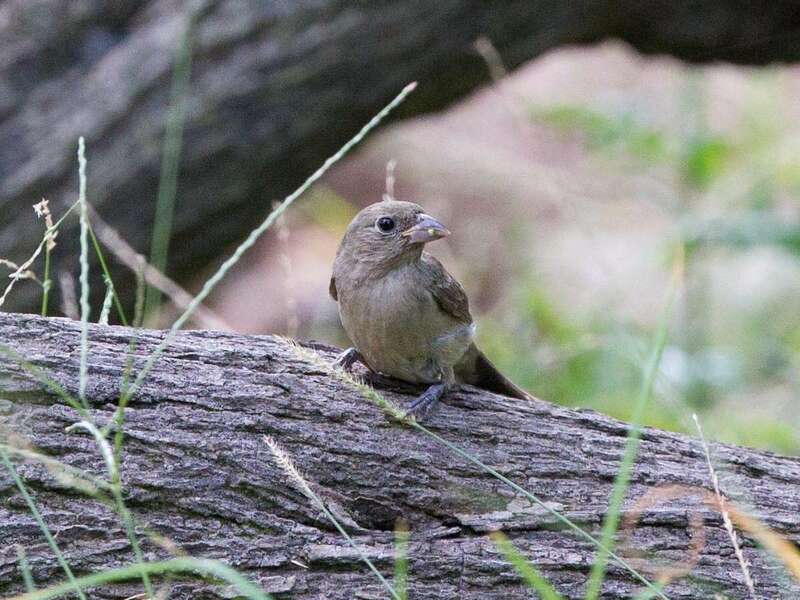 #518 Varied Bunting – Discovered by Matt Sadowski on Fiesta Island, Mission Bay on October 13, 2015. #517 Blue-throated Hummingbird – First observed by Jim Billups on 13 July 2014 on Palomar Mountain. The report appeared end of October 2014. 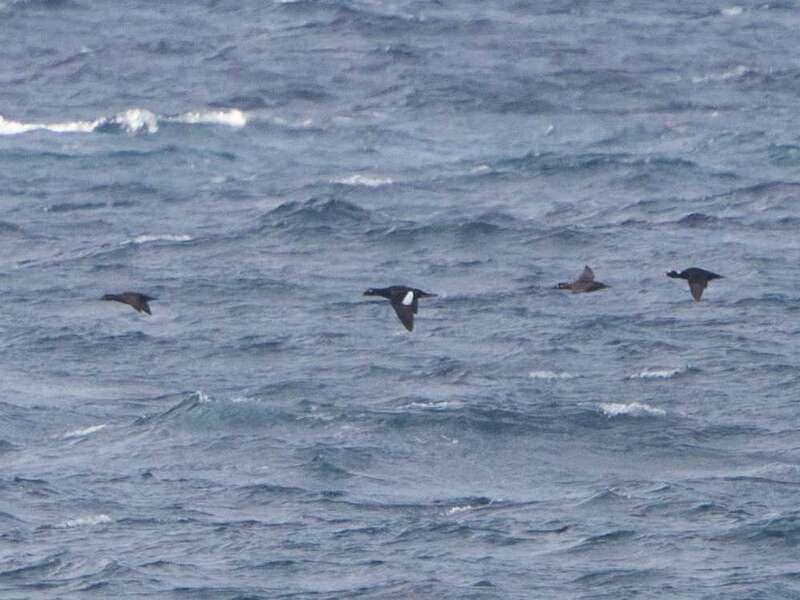 #516 Neotropic Cormorant – Found by Theresa Hyde on 12 Oct 2014 on Camp Pendleton. 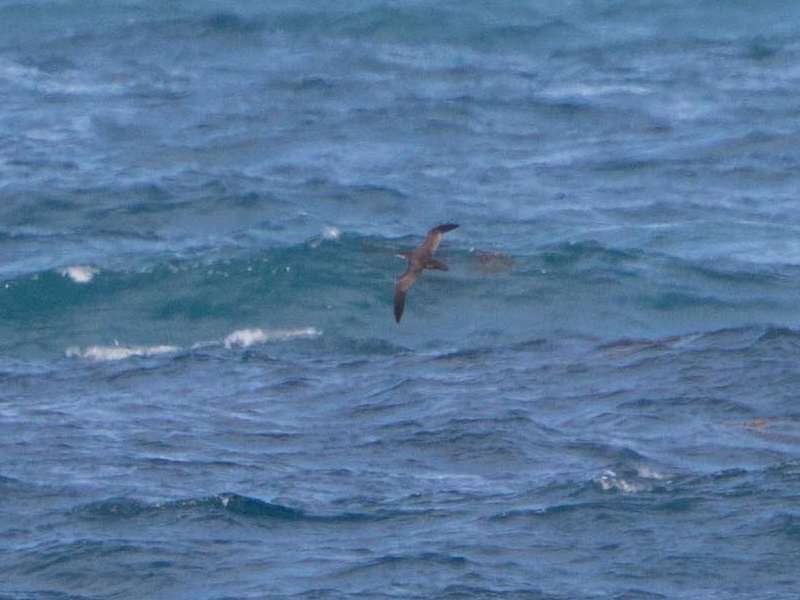 #515 Wedge-tailed Shearwater – First observed by Stan Walens and then photographed by Gary Nunn on 13 Sep 2013 at Point La Jolla, La Jolla. 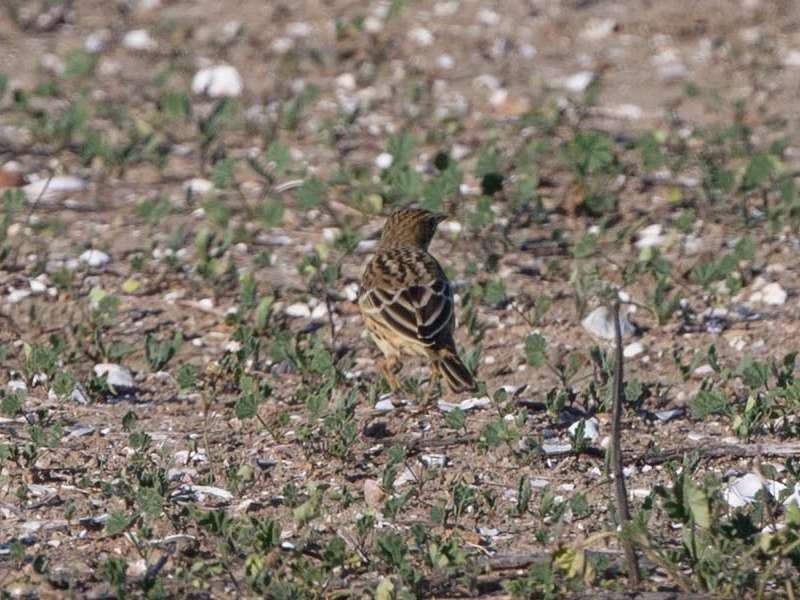 #514 LeConte's Sparrow – Found and photographed by Terry Hunefeld on 25 Oct 2013 in Borrego Springs. 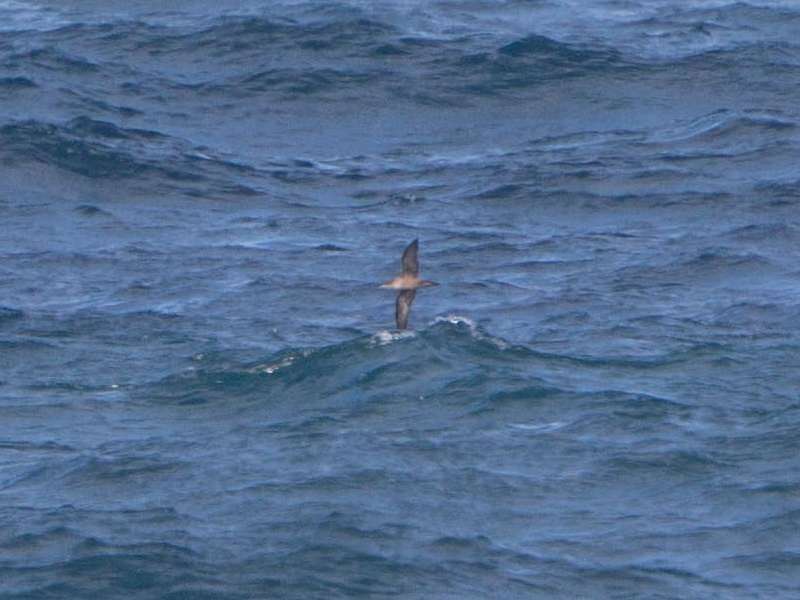 #513 Great Shearwater – Discovered by Paul Lehman and photographed from SoCalBirding pelagic 14.3 NM west of Point Loma on 14 Oct 2013. 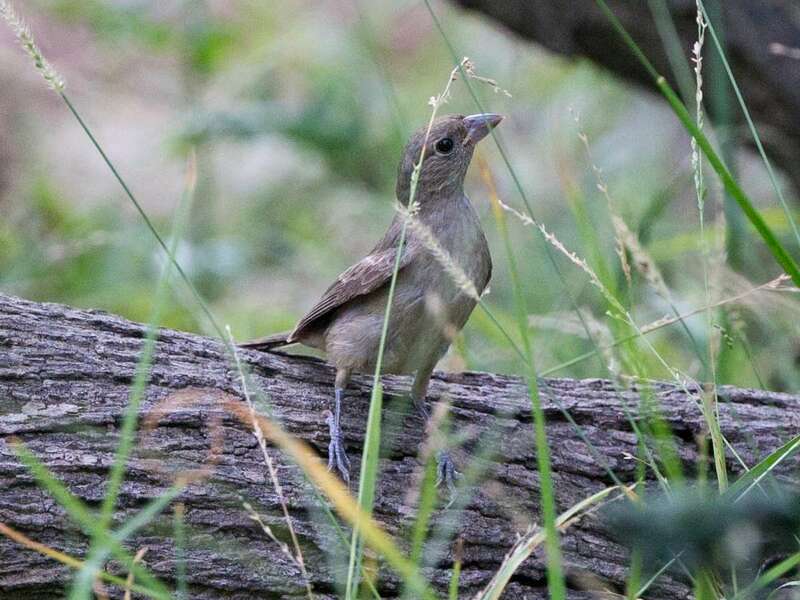 #512 Scaly-breasted Munia – Introduced Asian estrildine finch species added to the California List and ABA List Sep 2013. 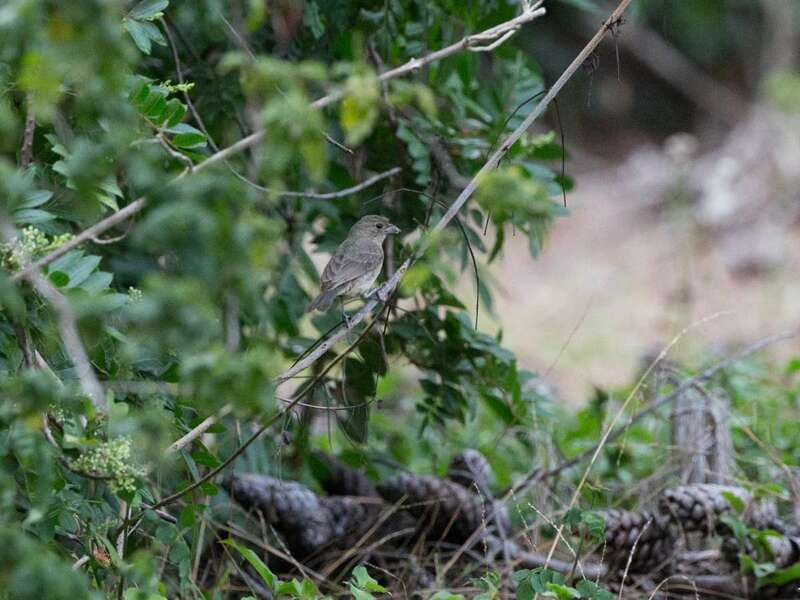 #511 Bell's Sparrow – Addition of this California near endemic previously considered a subspecies of Sage Sparrow (AOU, 54th supp., Jul 2013). 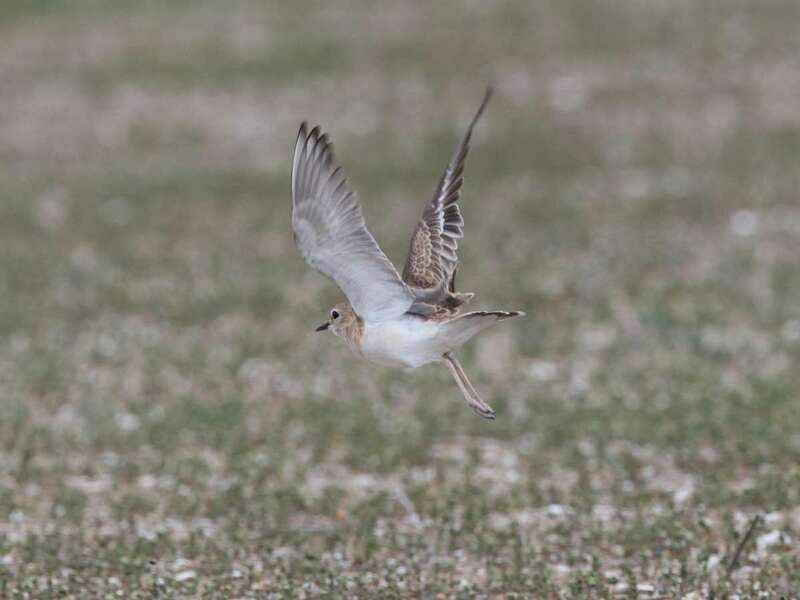 #510 Lesser Sand-Plover – South San Diego Bay, Imperial Beach, 19 Jul 2013. Discovered by Matt Sadowski in the South Bay Salt Works. #509 White Wagtail – Chula Vista, 10 Feb 2013. Discovered and photographed by Matt Sadowski along Bay Blvd in Chula Vista. 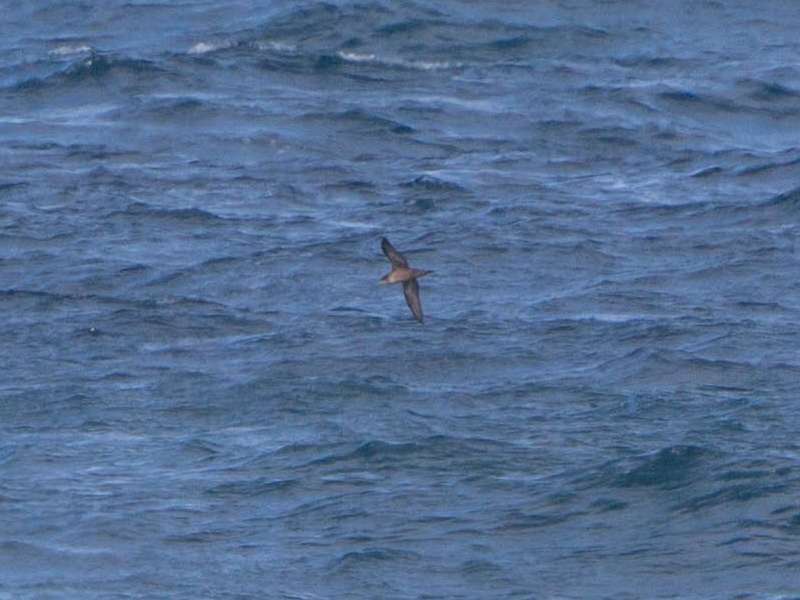 #508 Great-winged Petrel – Point La Jolla seawatch, 18 Dec 2012. Discovered and photographed by Gary Nunn. 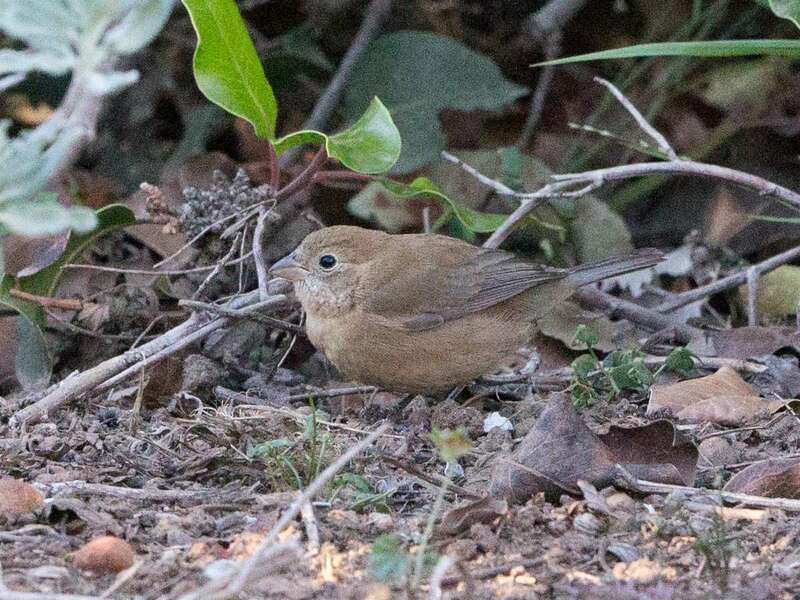 The 6th record for California and the ABA area. #507 Wood Sandpiper – Camp Pendleton, 24 Sep 2012. Discovered by Brennan Mulrooney. Only the second record for California. 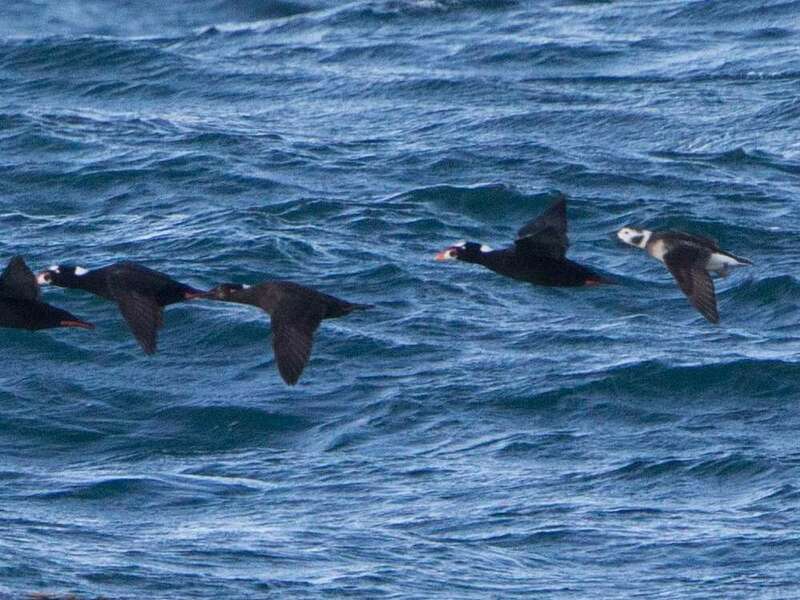 #506 Guadalupe Murrelet – Addition of this small alcid species previously considered a subspecies of Xantus’s Murrelet (AOU, 53rd supp., Jul 2012). #505 Common Redpoll – Julian, 04 Feb 2012. Discovered by Mike Goldhammer and seen by many observers. #504 Black Vulture – Escondido, 06 Mar 2011. Found by Trent Stanley and Eric Kallen, the sole observers. #503 Winter Wren – Point Loma, 03 Nov 2010. 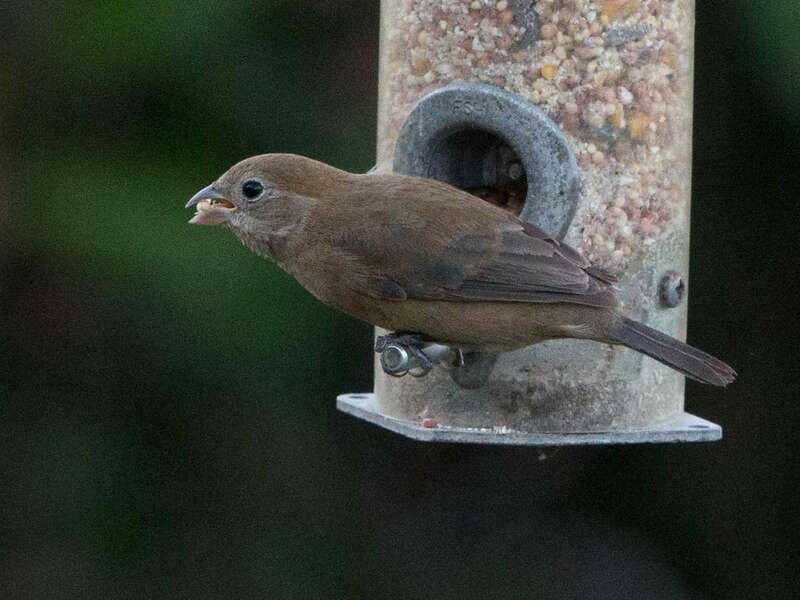 Found and identified by Paul Lehman with additional recorded vocalizations. 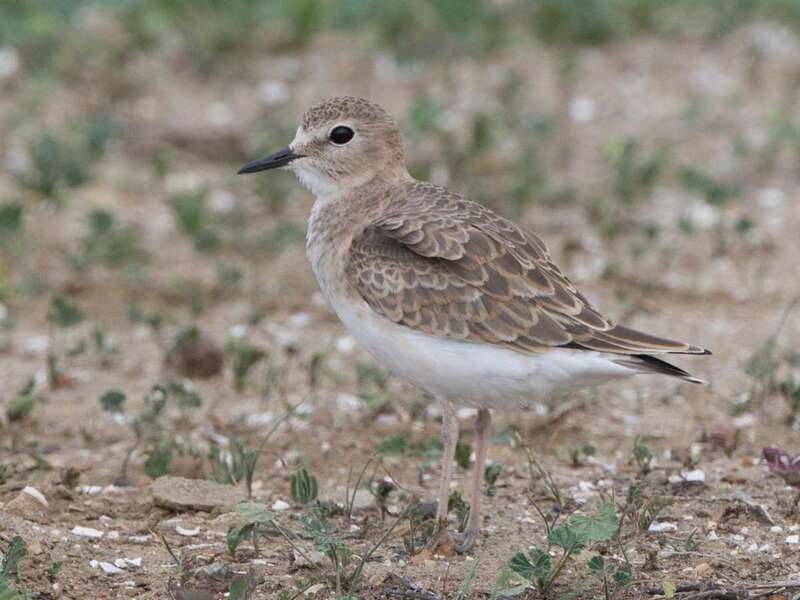 #502 Little Stint – San Diego Bay, 31 Aug 2010. Discovered by Matt Sadowski after careful evaluation of his photographs. #501 Eastern Whip-poor-will – Point Loma, 14 Nov 1970. 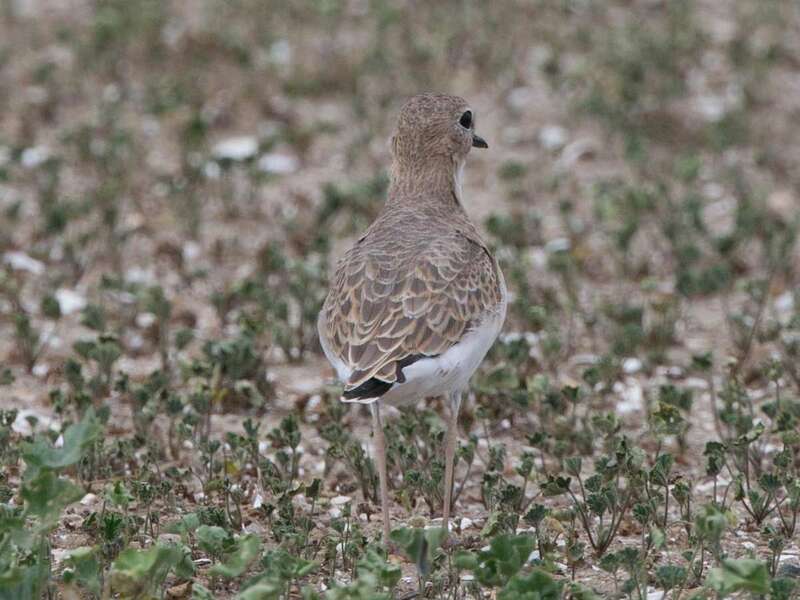 Addition of this eastern species previously considered a form of Whip-poor-will (AOU, 51st supplement, Jul 2010). 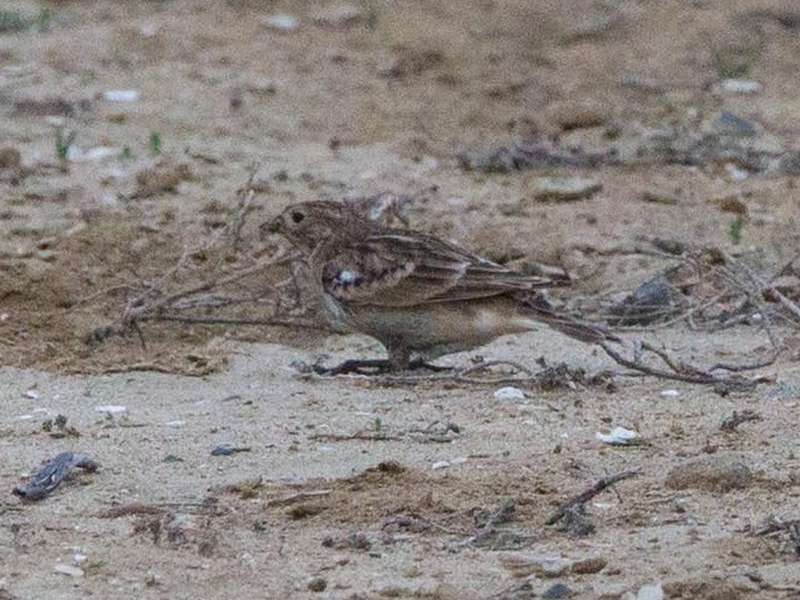 #500 Snow Bunting – Ocean Beach, 30 Apr 2009. Discovered by Jim Pea at Robb Field. One of the most unexpected rarities in recent years. 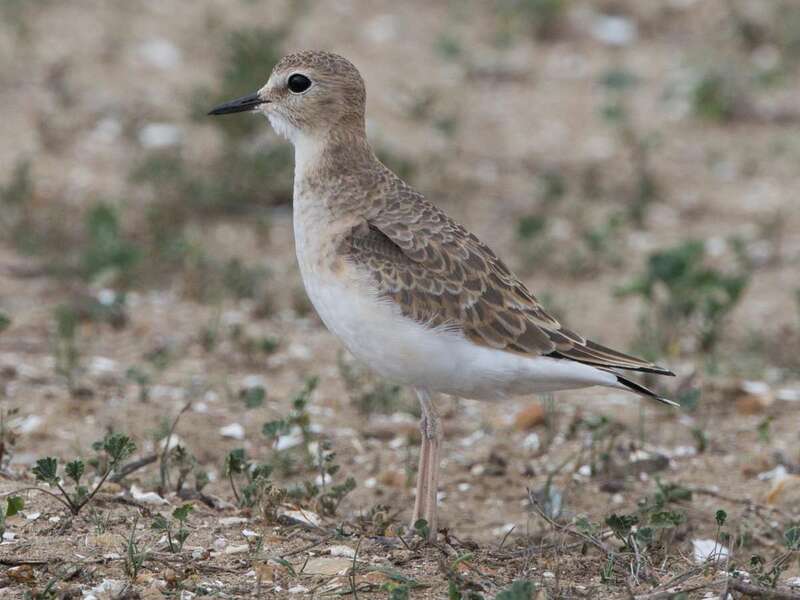 #499 Red-necked Stint – San Diego Bay, 23 Jul 2008. Found and identified by Matt Sadowski. #498 Bridled Tern – Santa Margarita River mouth, 14 Aug 2007. First seen by Brian Foster. 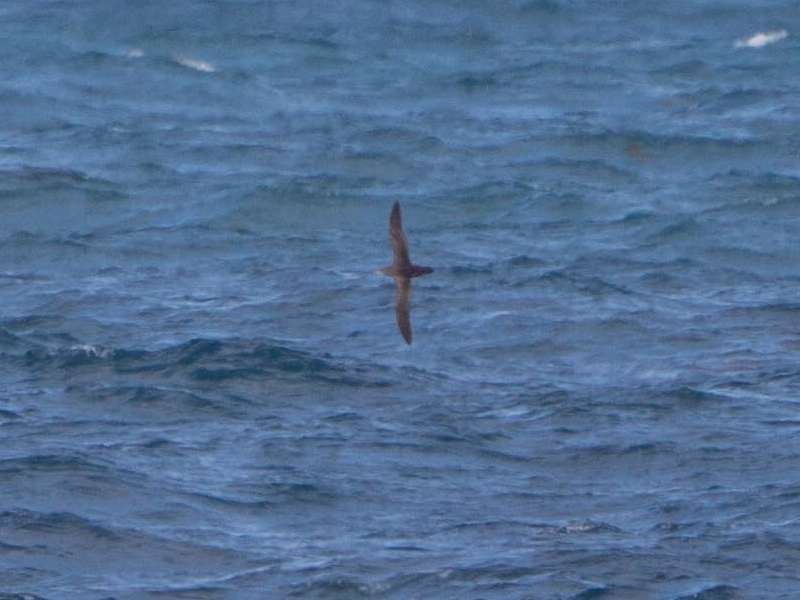 #497 Newell's Shearwater – Del Mar, 01 Aug 2007. Found by a construction worker and taken to Project Wildlife where it later died. The first and only record in California and the ABA area. Compiled with Guy McCaskie, CBRC Secretary and San Diego County birder. 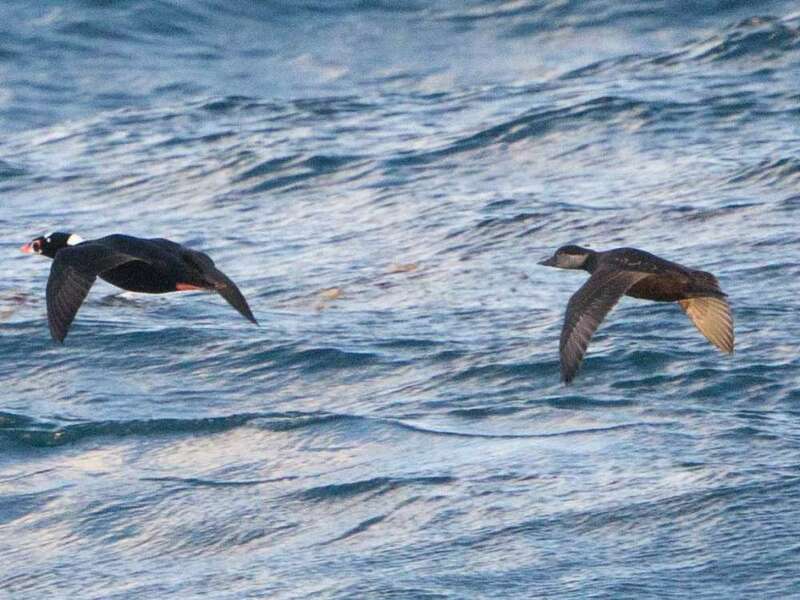 Magnificent Frigatebird – downtown La Jolla!